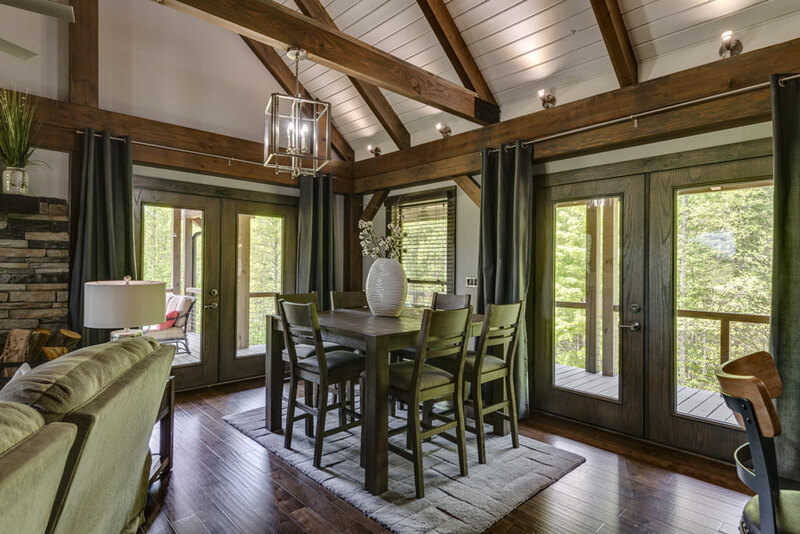 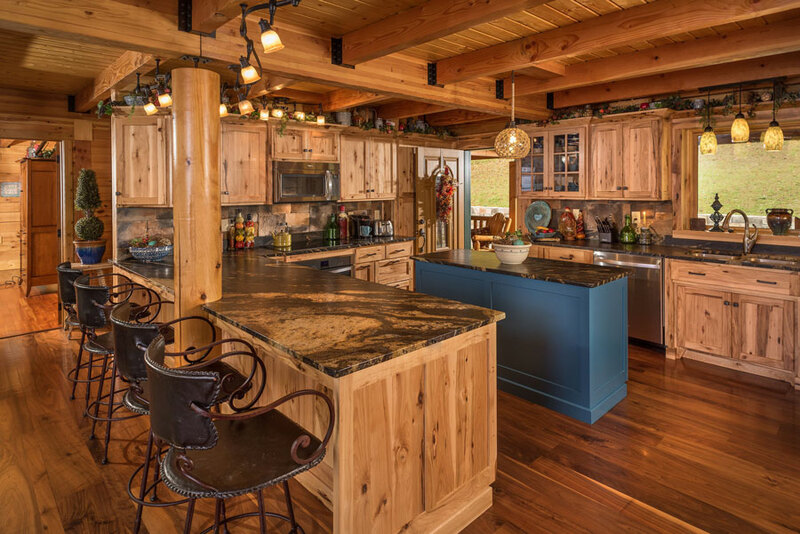 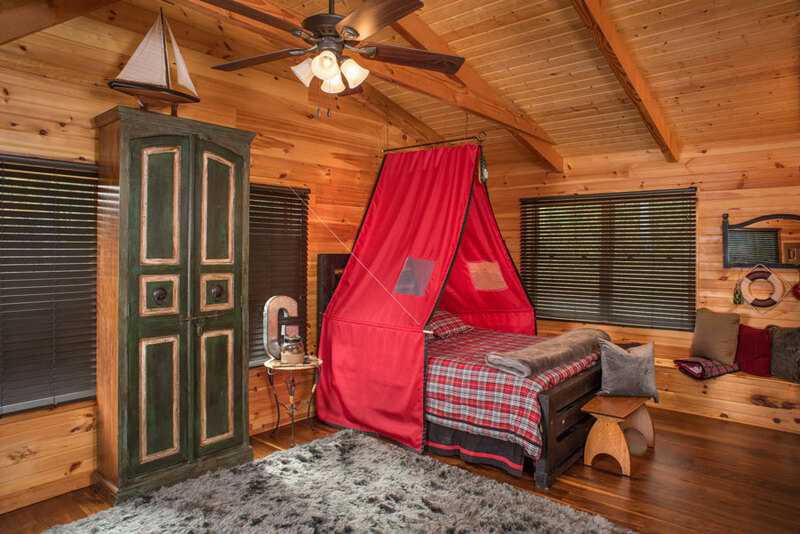 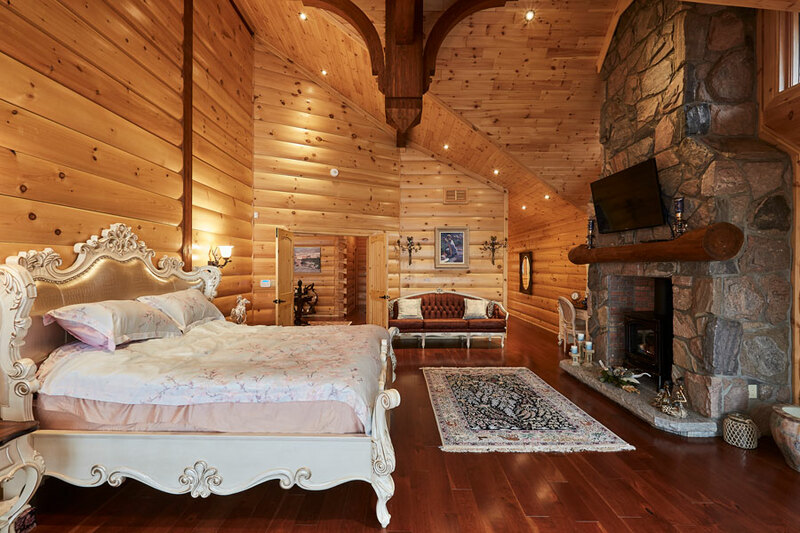 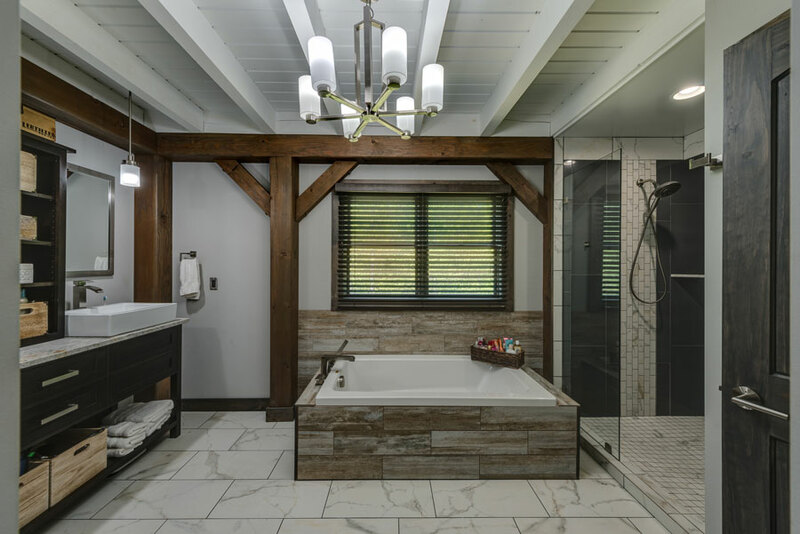 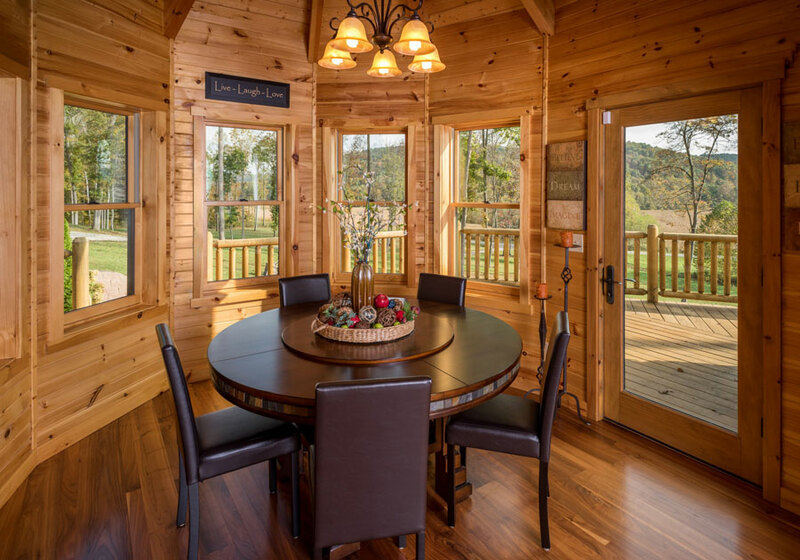 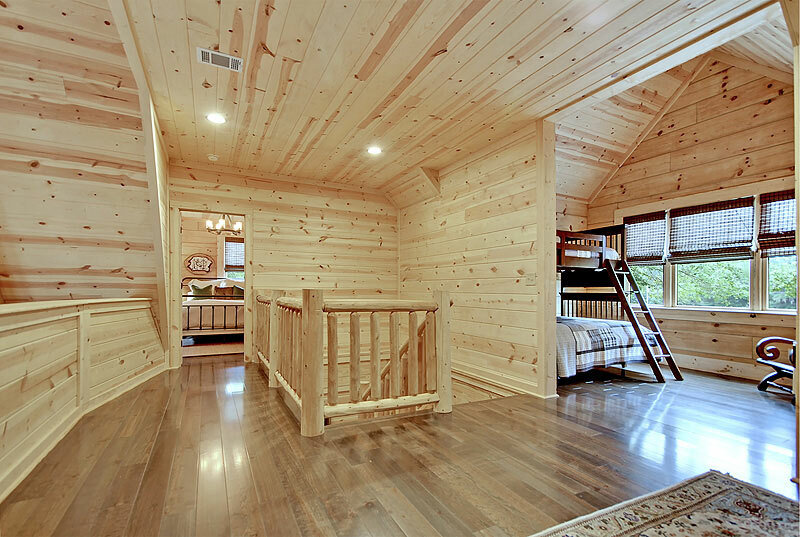 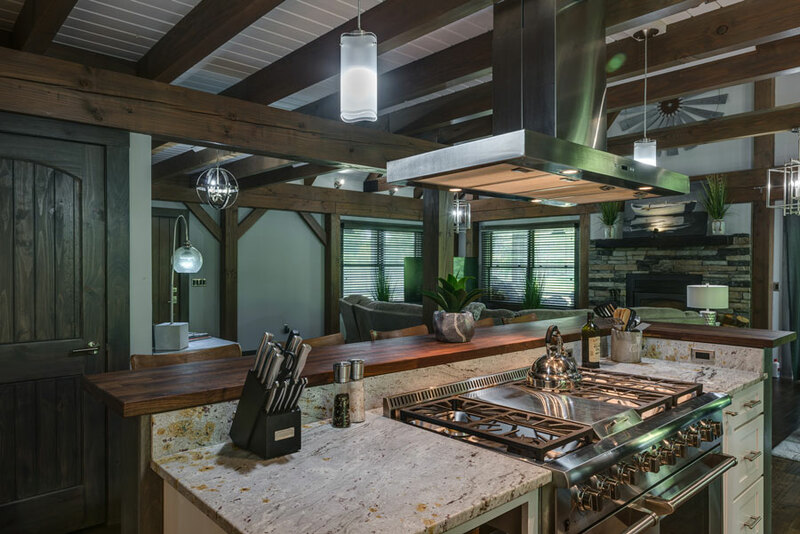 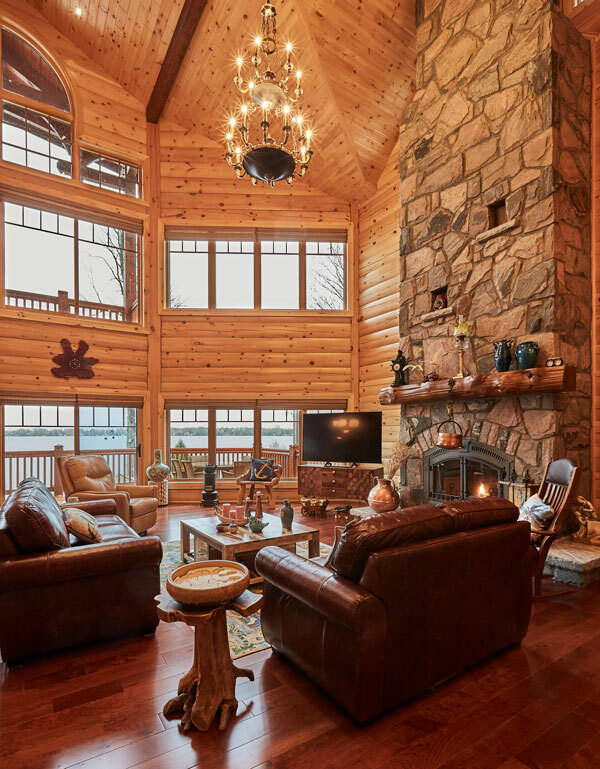 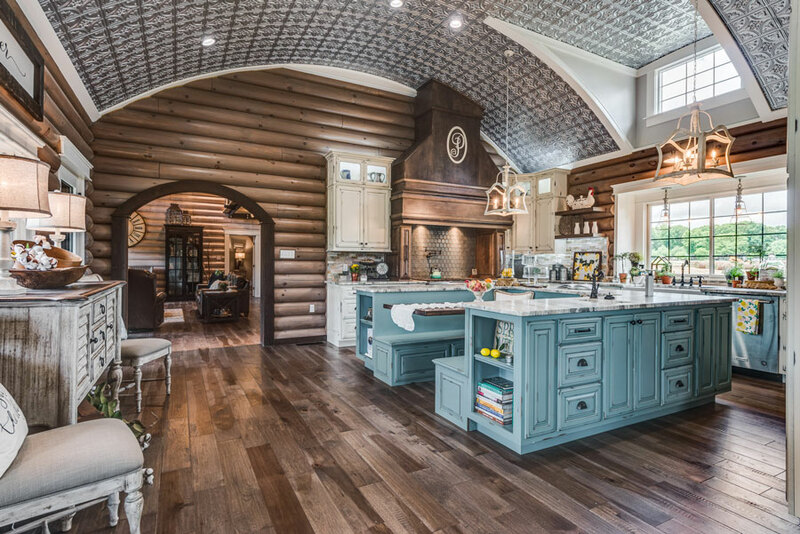 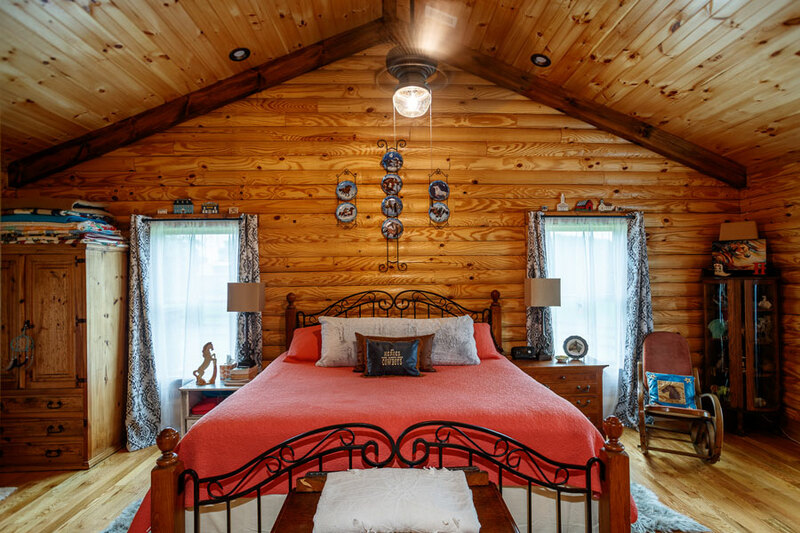 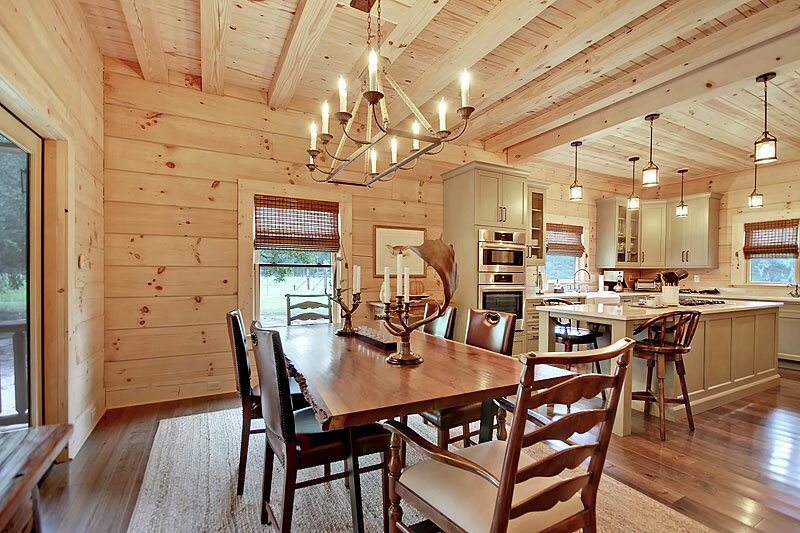 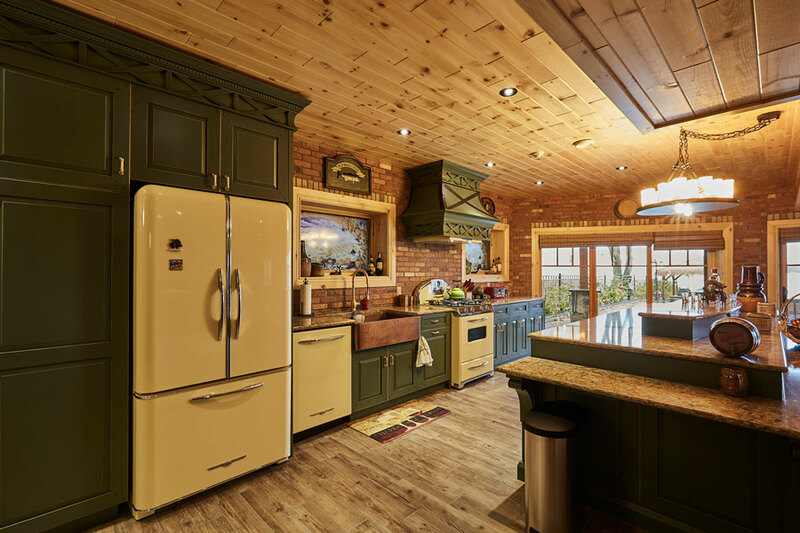 Each year, members of Log & Timber Homes Council (part of the National Association of Home Builders) submit their best feats of log home design and construction to the organization’s prestigious Jerry Rouleau Awards for Excellence in Marketing and Home Design. 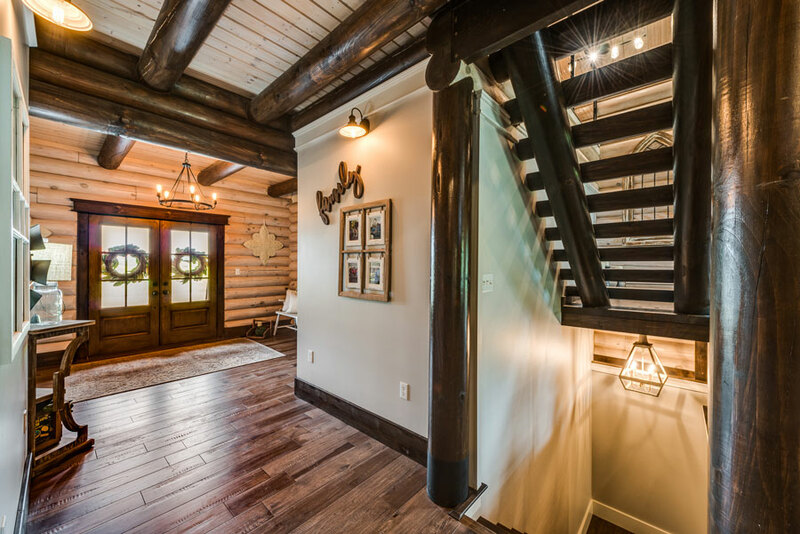 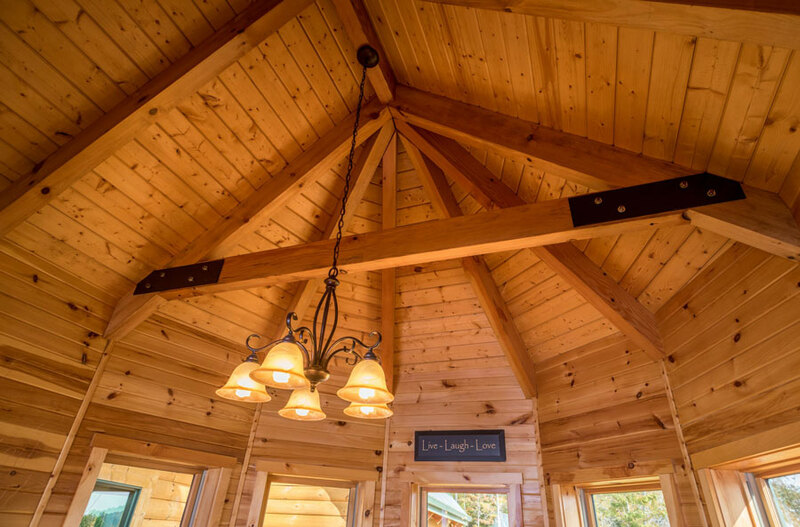 We here at Log Home Living know a good thing when we see it, as did the judges of the Jerry Rouleau Awards for Log & Timber Home Design. 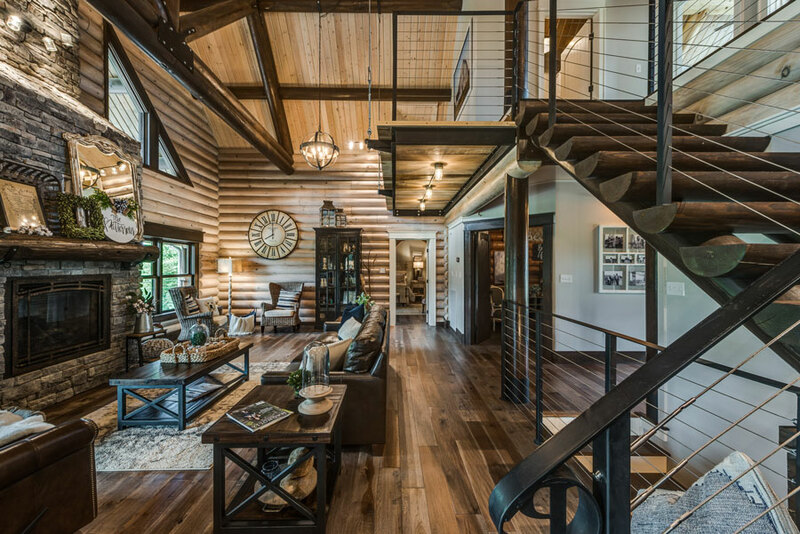 Originally featured in our March 2018 issue, Blue Ridge’s clean, modern cabin received high praise from the expert panel for its innovative and fresh approach to log home design — particularly its capacity for indoor/outdoor living. 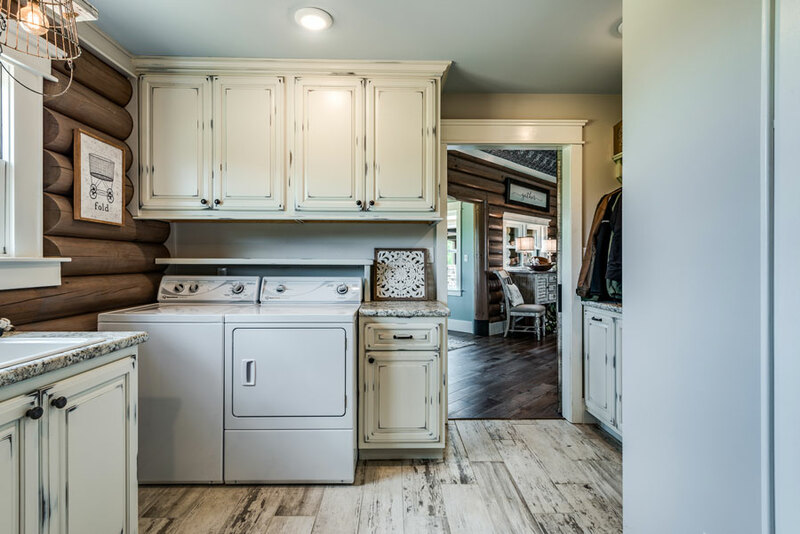 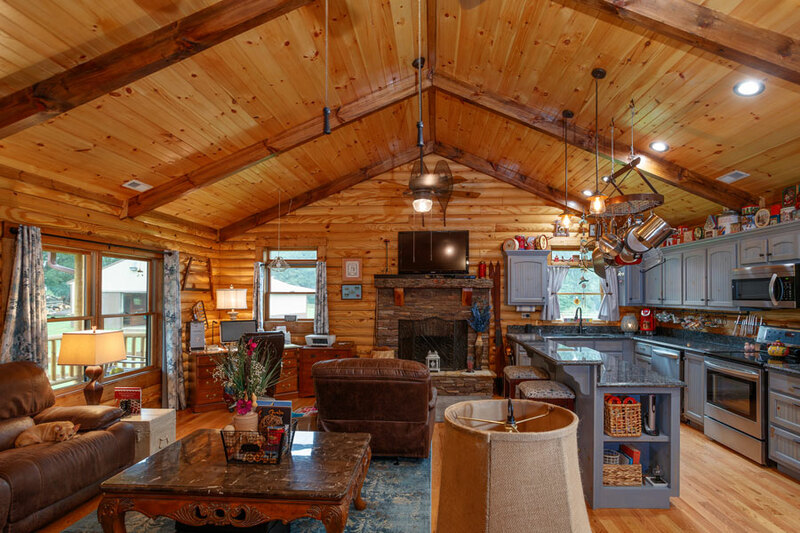 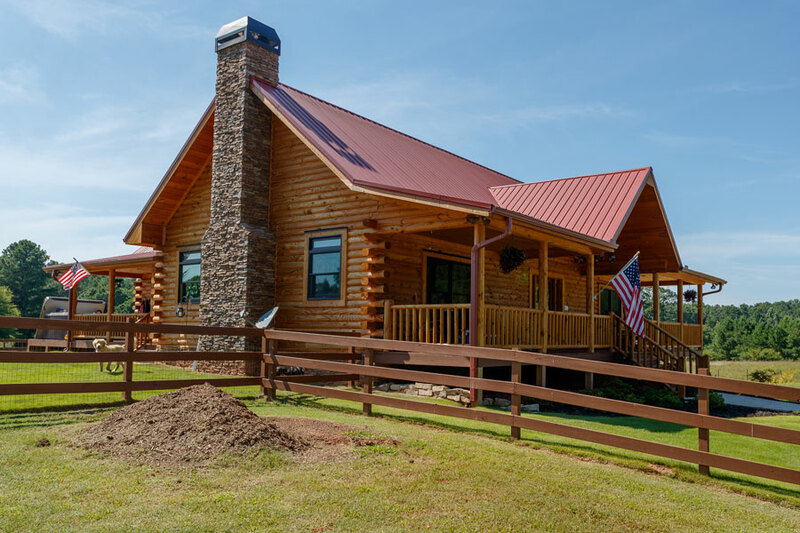 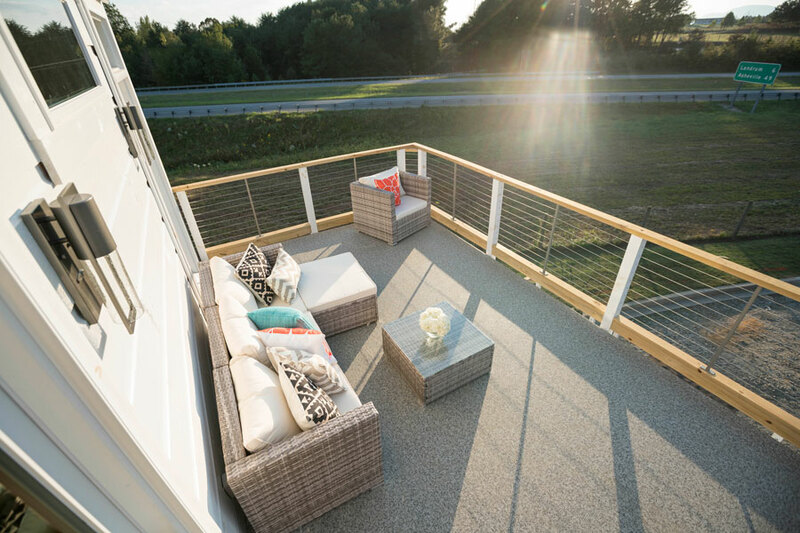 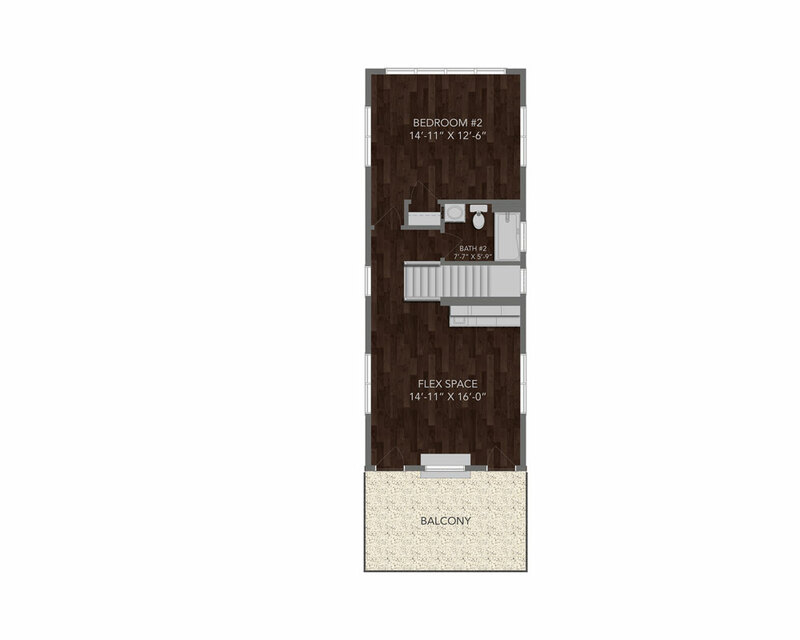 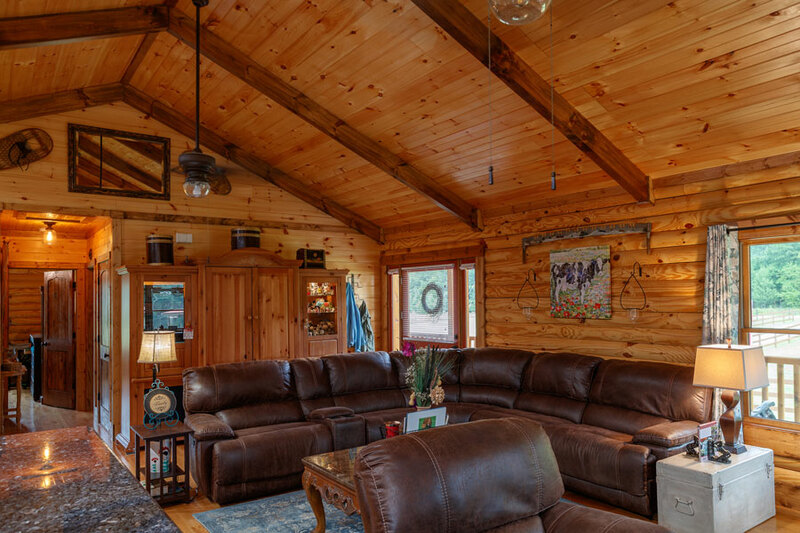 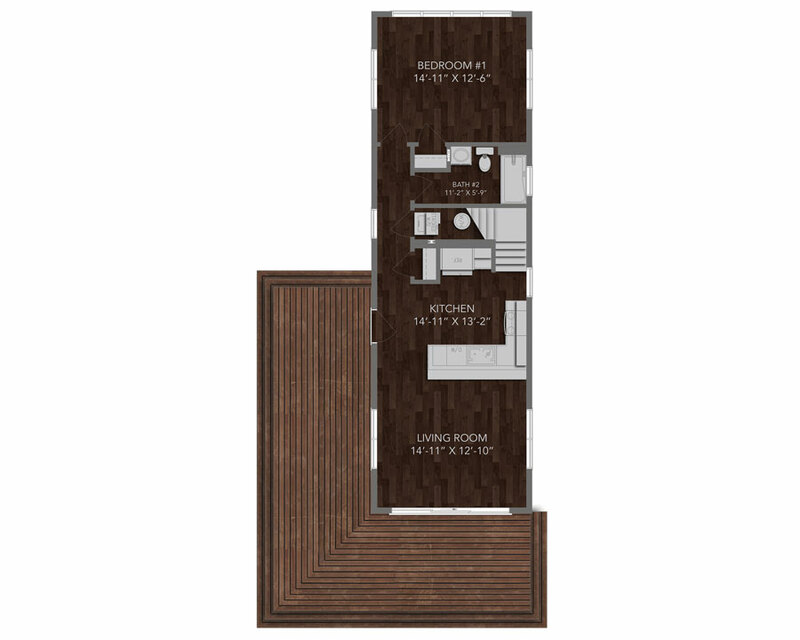 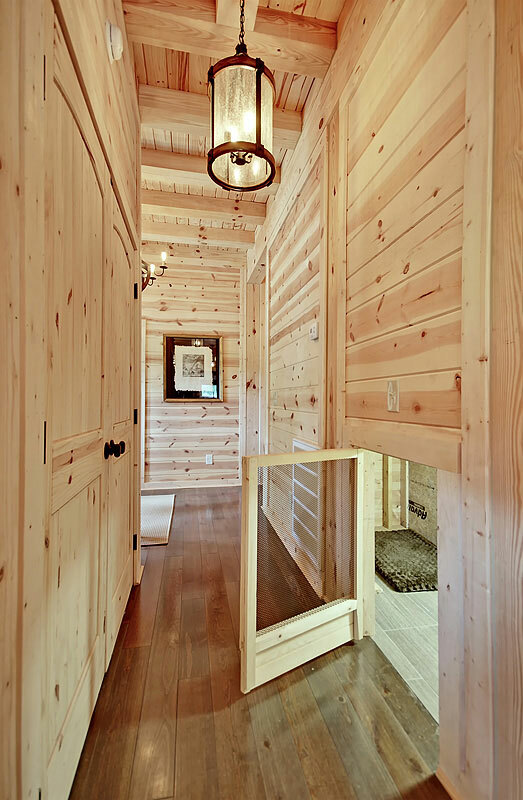 For those desiring a single-level lifestyle, the Danbury offers a traditional-yet-stylish approach to the log home ranch. 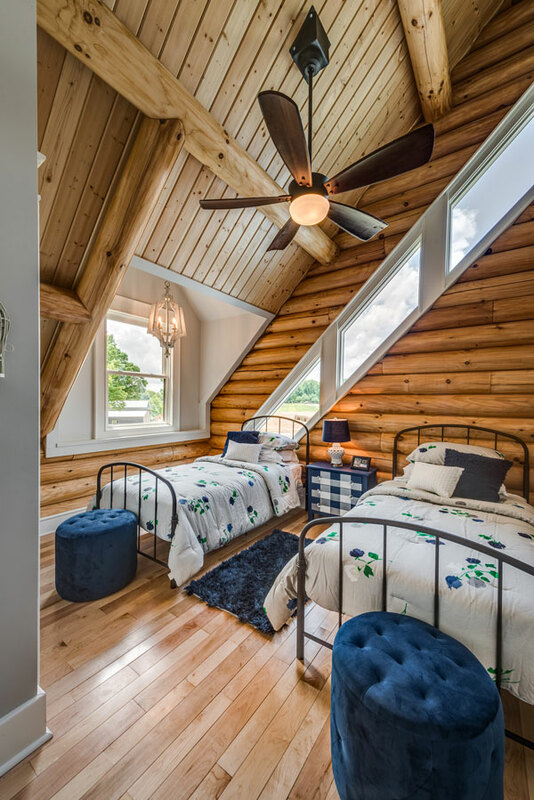 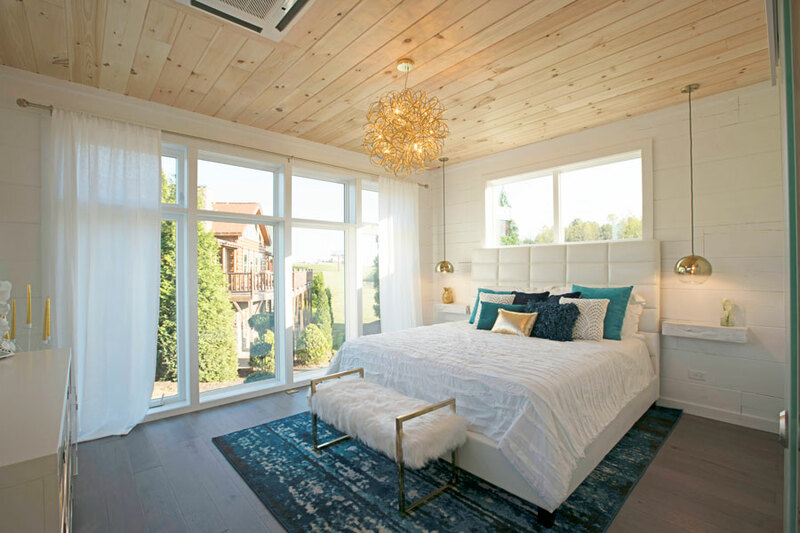 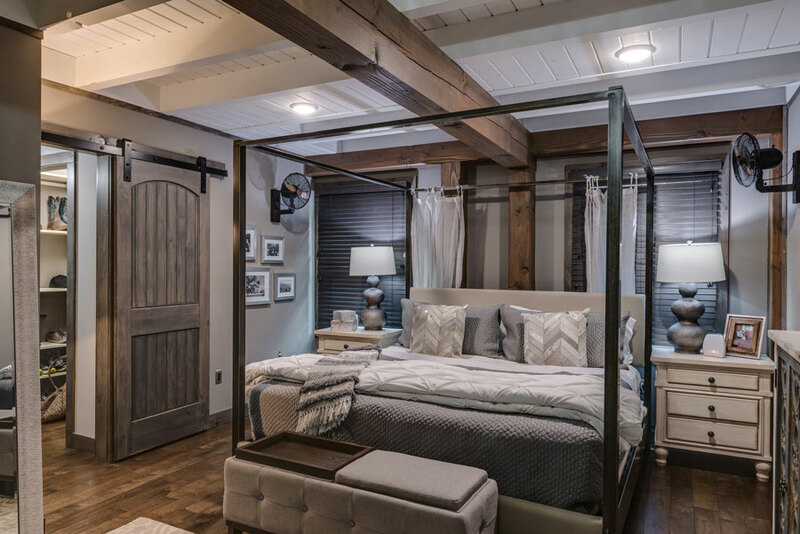 A split-bedroom design provides ample privacy within an otherwise open and inviting living space, made even more spacious thanks to vaulted ceilings that extend across the living area to the large fireplace at the gable. 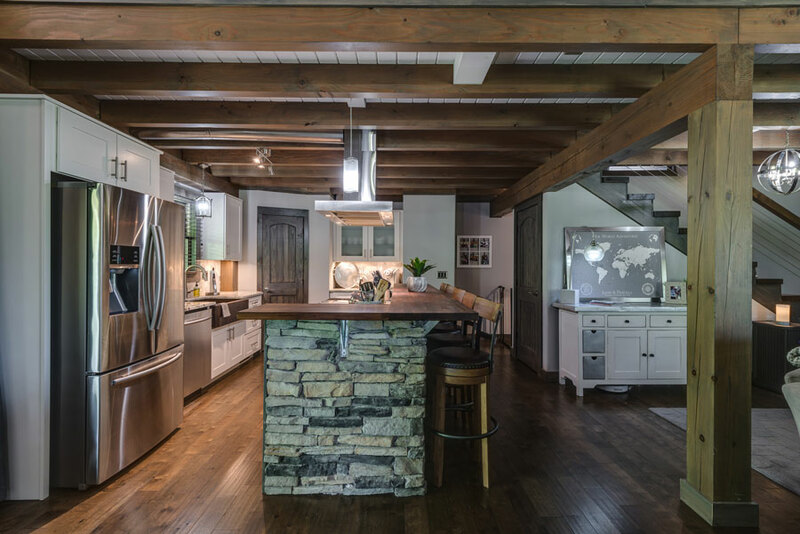 The dual-height kitchen island and tons of counter space are perfect for entertaining and allow the kitchen to flow seamlessly into the central core of this charming one-level model. 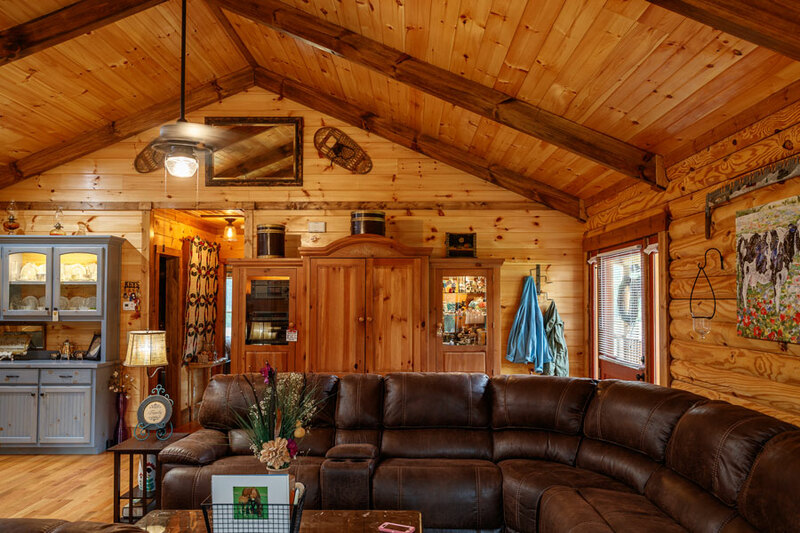 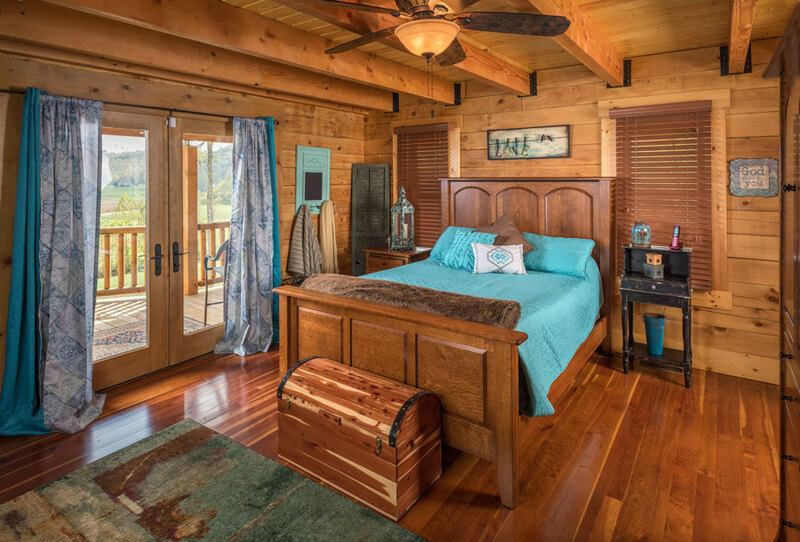 The owners of this custom log home were looking for a residence that capitalized on their lakeside views and fostered a slower pace of life. 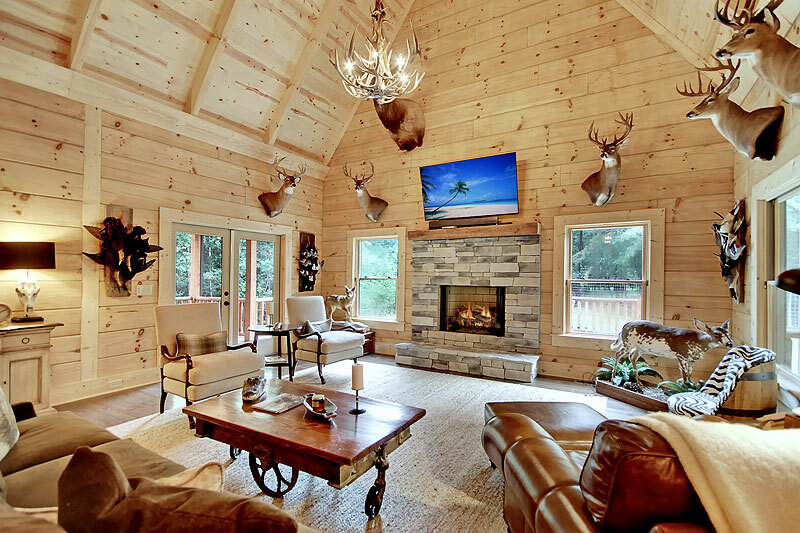 We believe they accomplished this in spades. 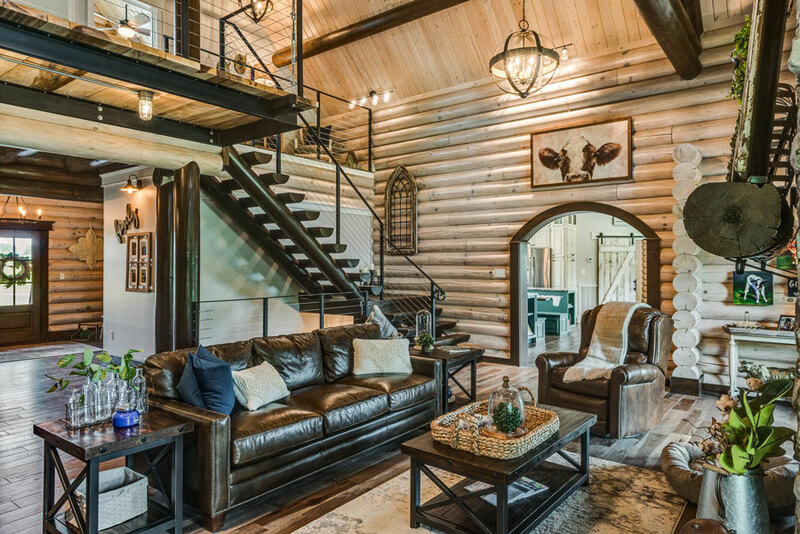 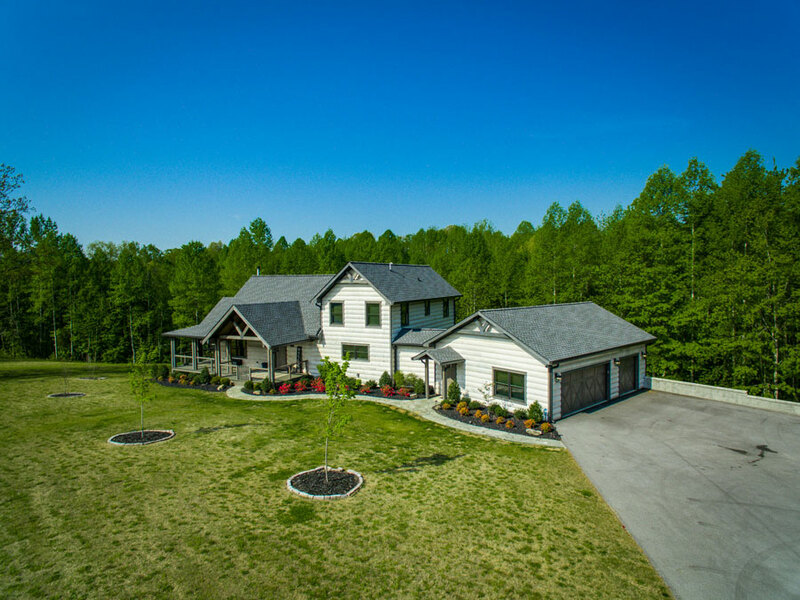 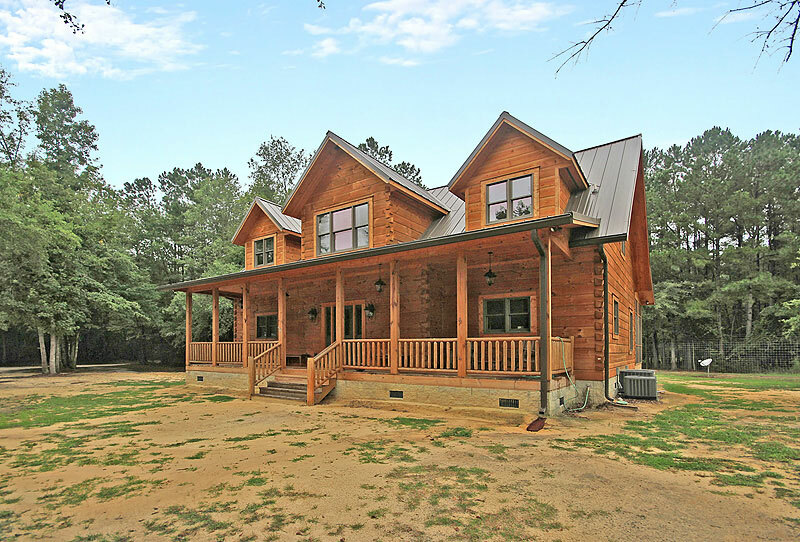 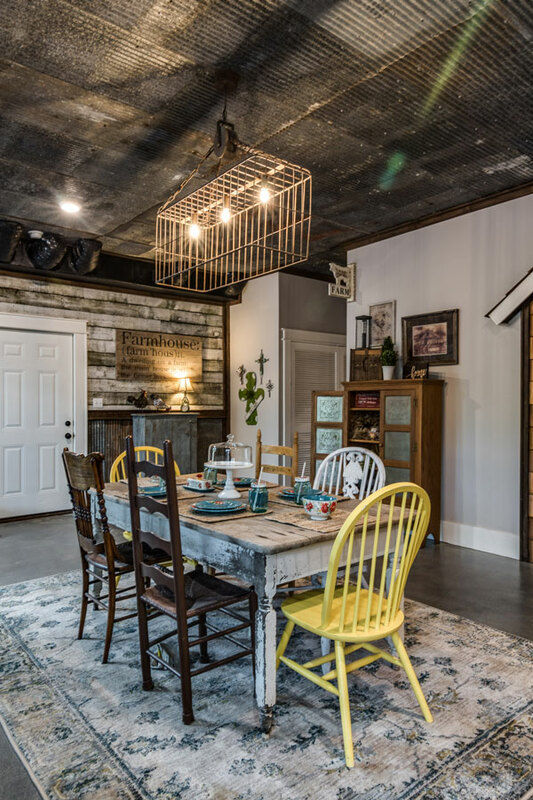 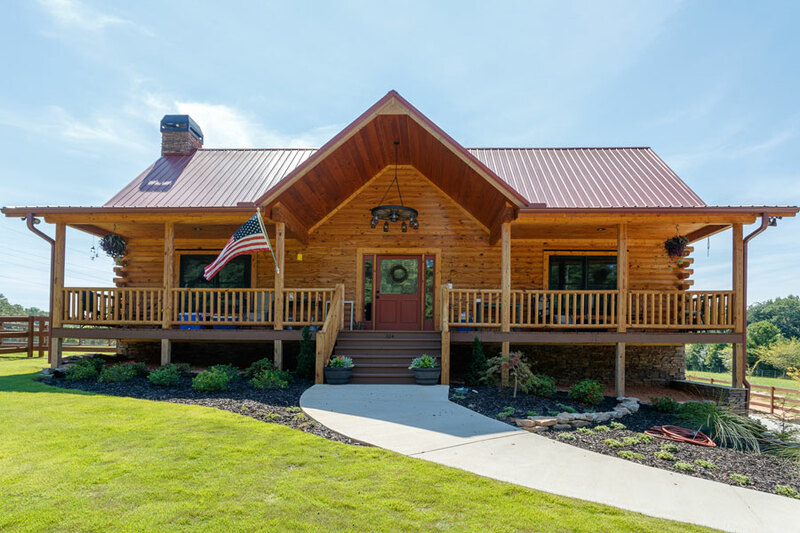 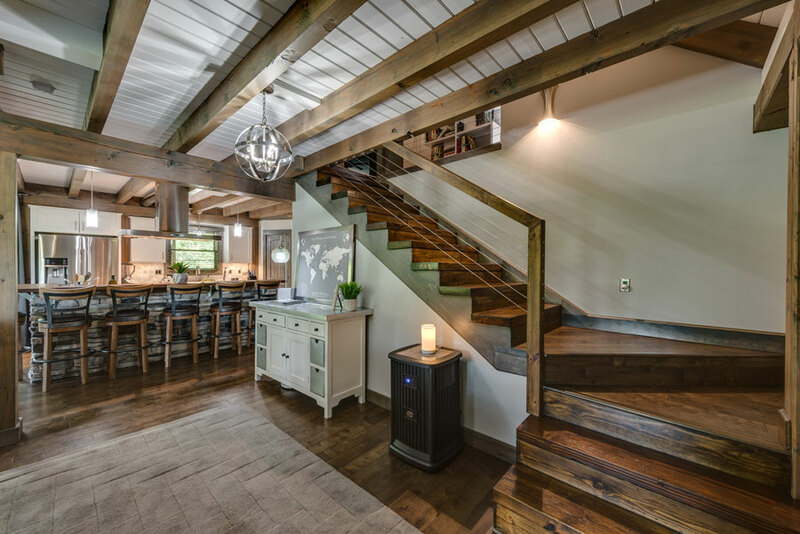 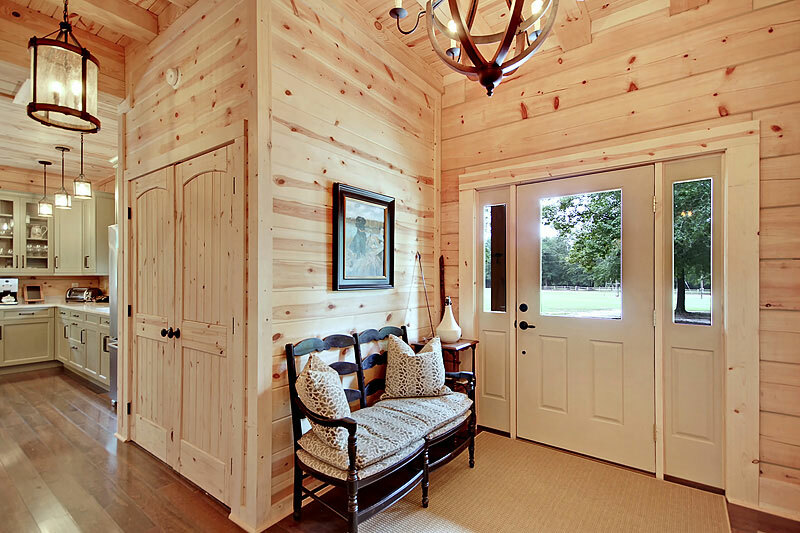 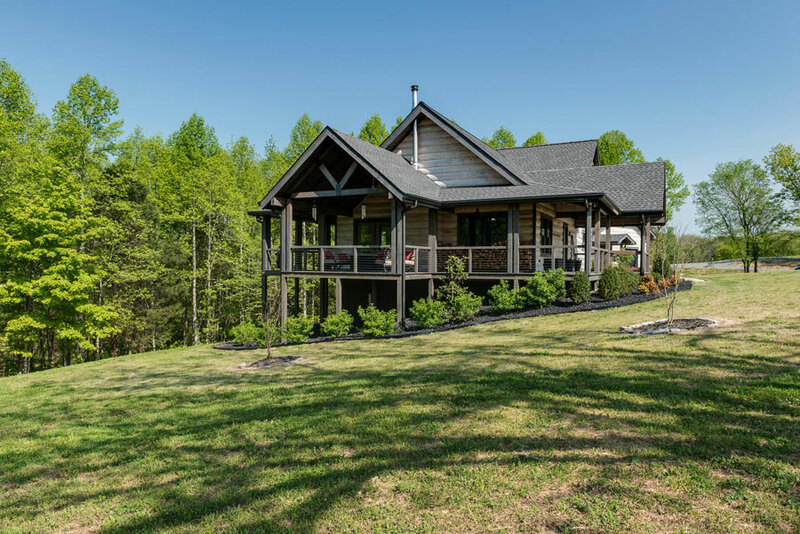 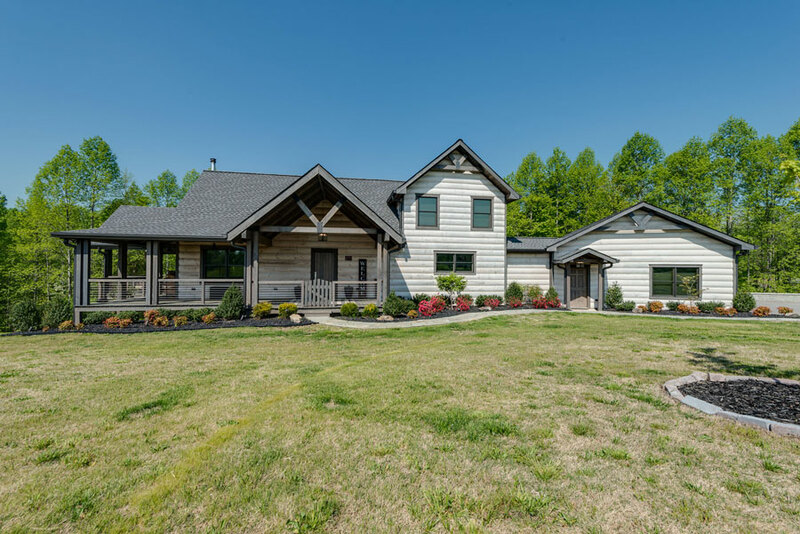 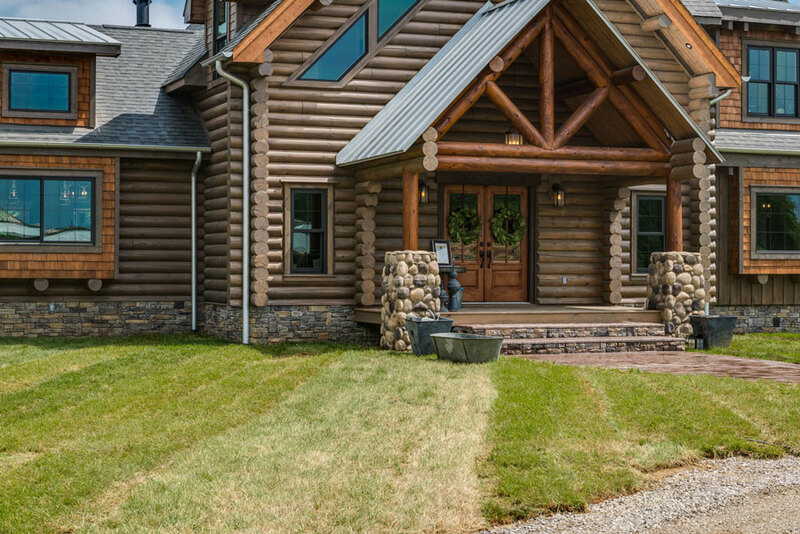 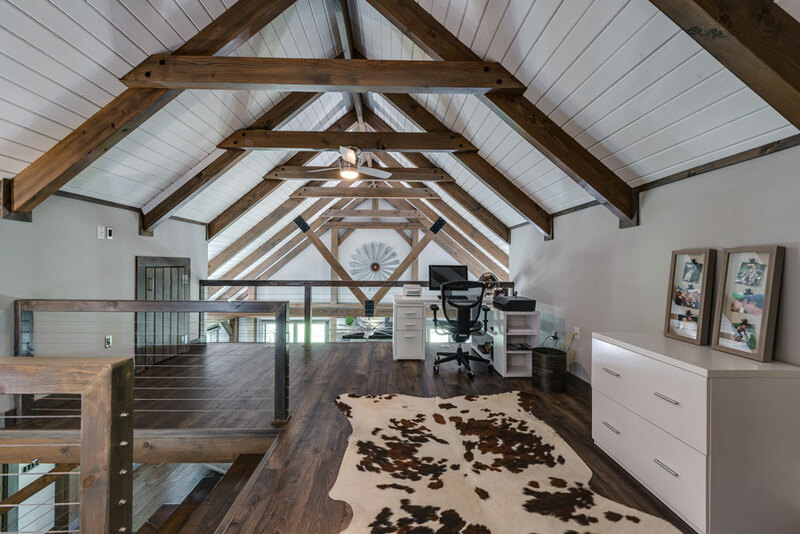 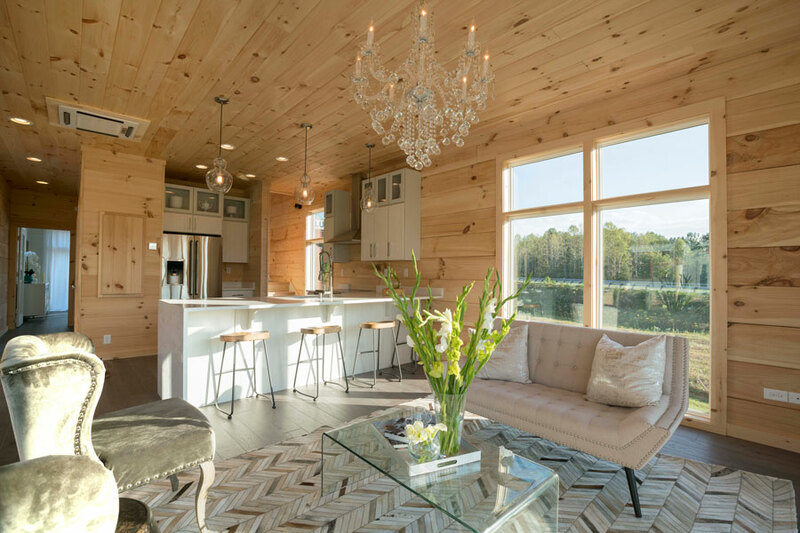 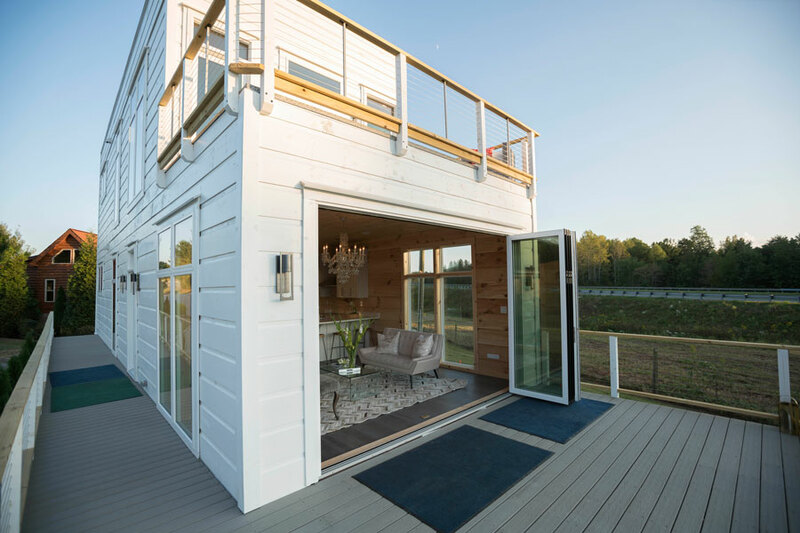 The two-story house is a perfect example of country living with a modern twist, highlighted by its “hybrid” approach, which blends the look of logs with timber framing and drywalled interior spaces. 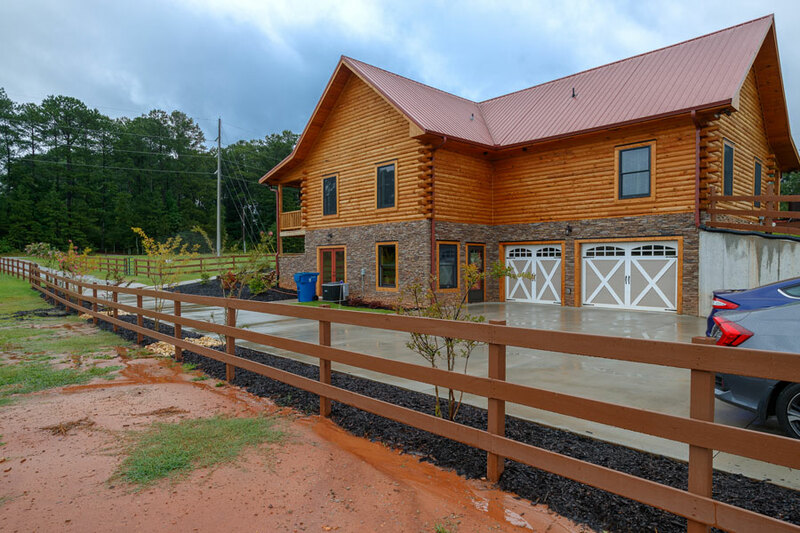 The unconventional exterior stain-color choice adds a surprise element to its timeless farmhouse design. 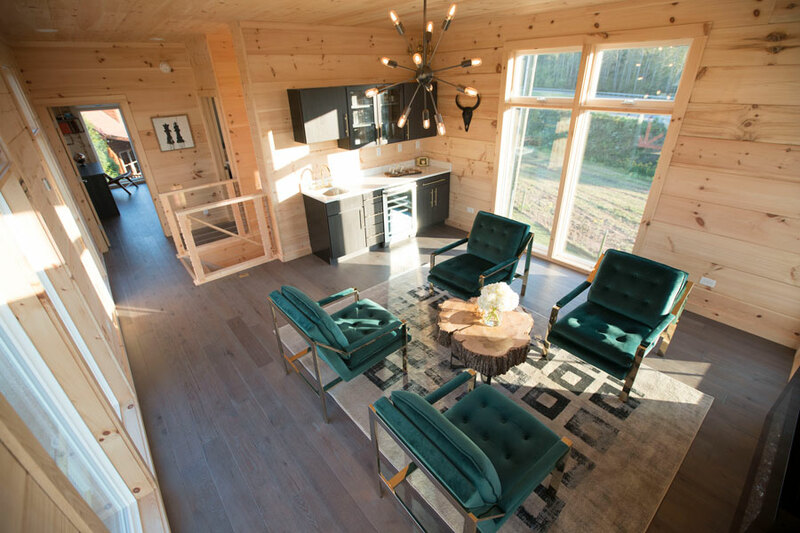 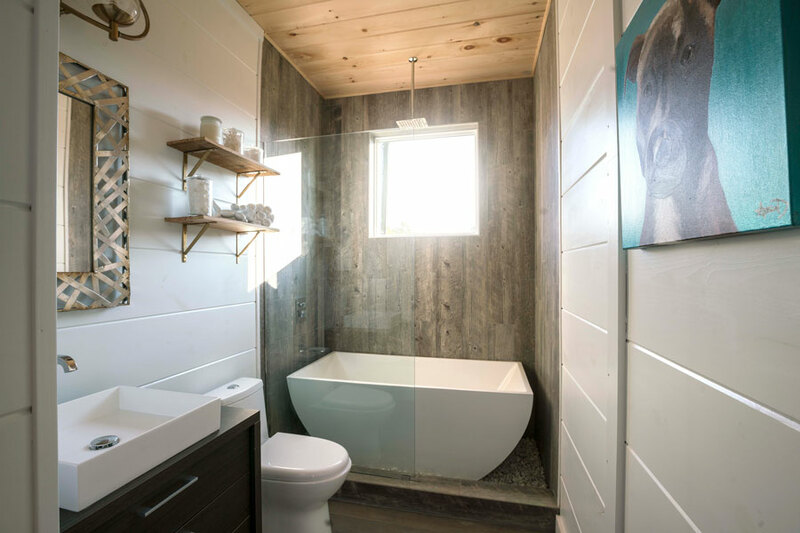 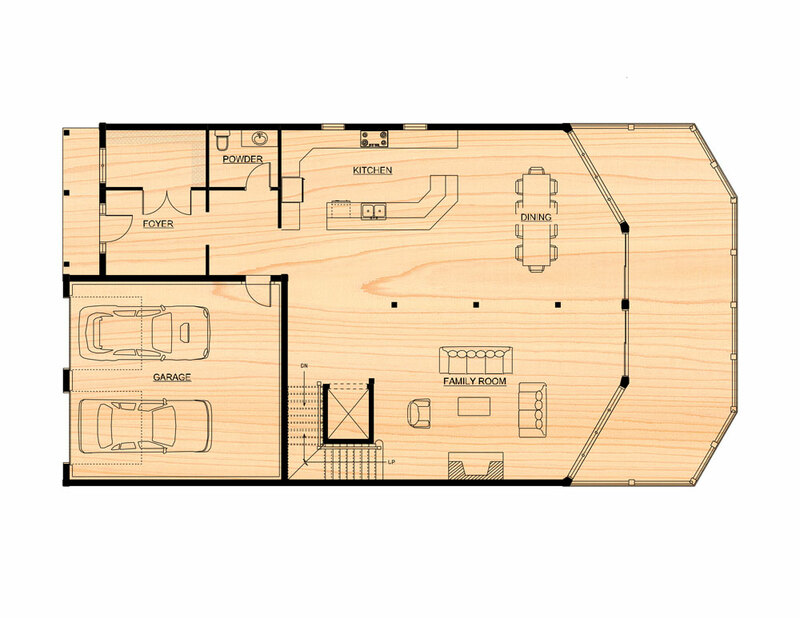 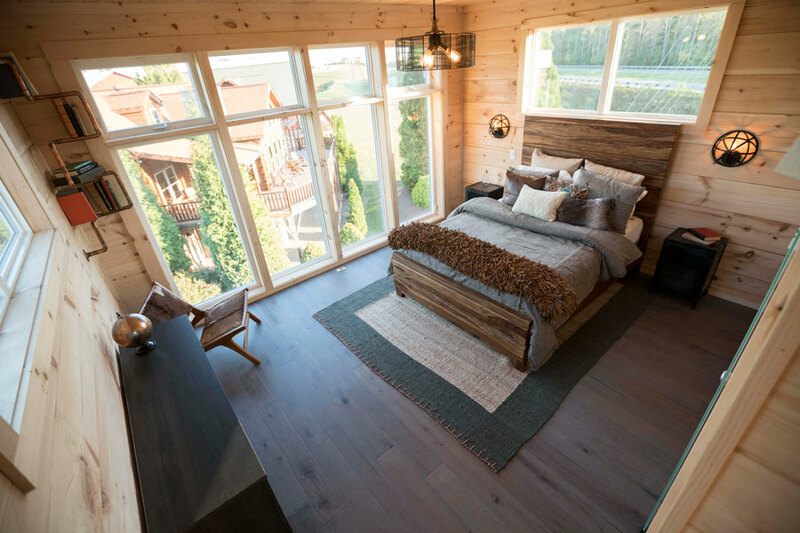 The embodiment of a full-log home, this house uses a consistent color scheme to create volume, space and light within a framework less than 2,500 square feet. 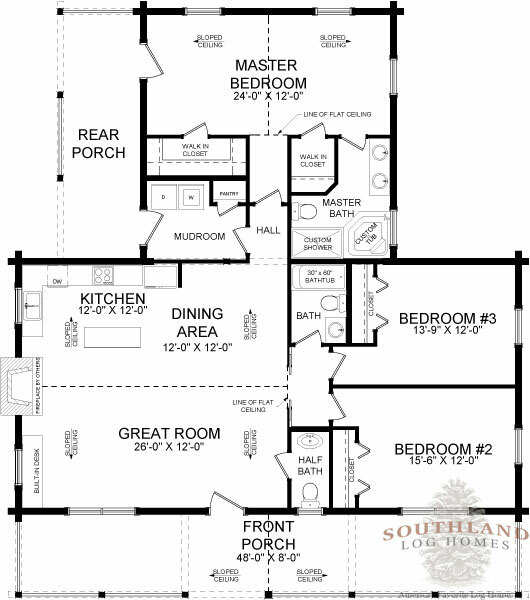 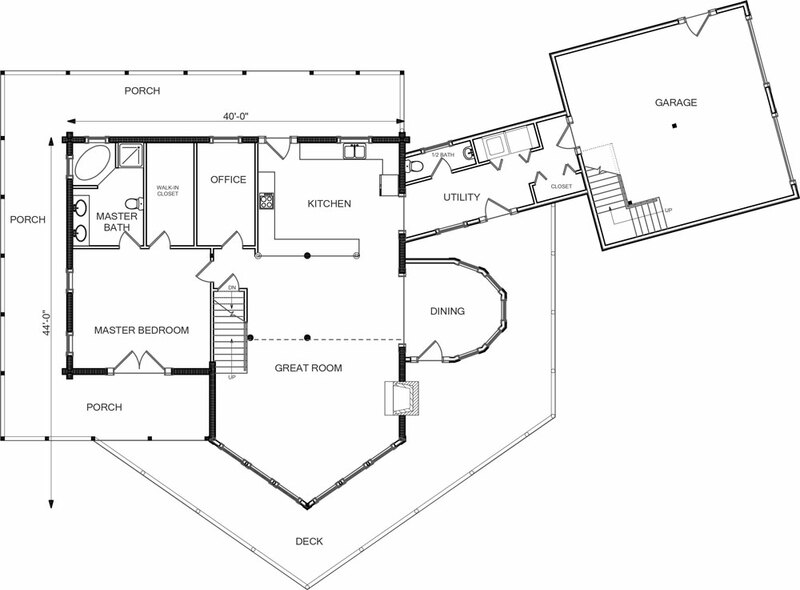 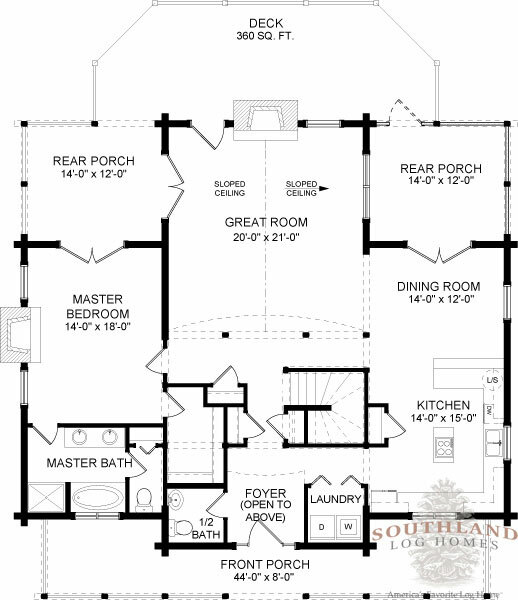 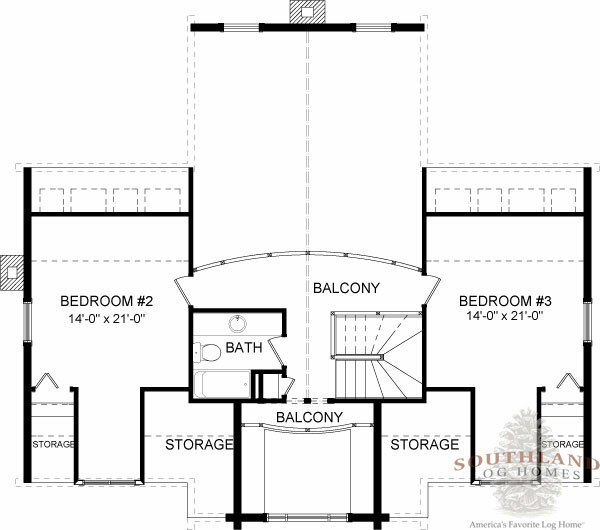 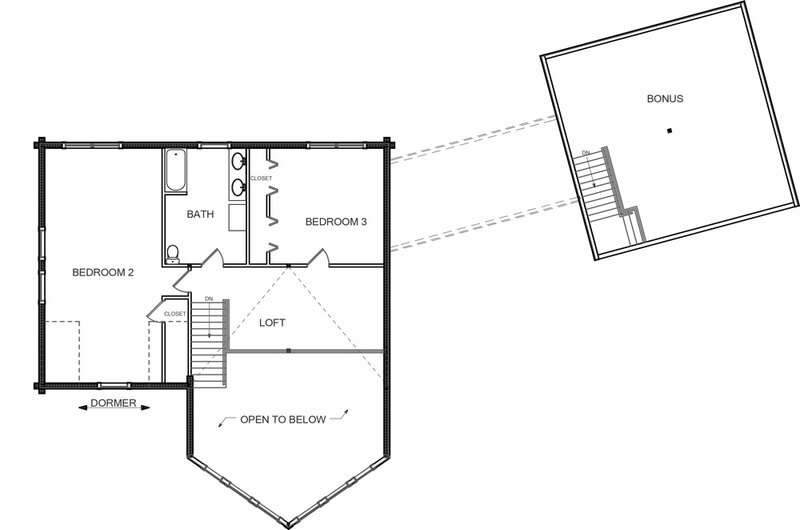 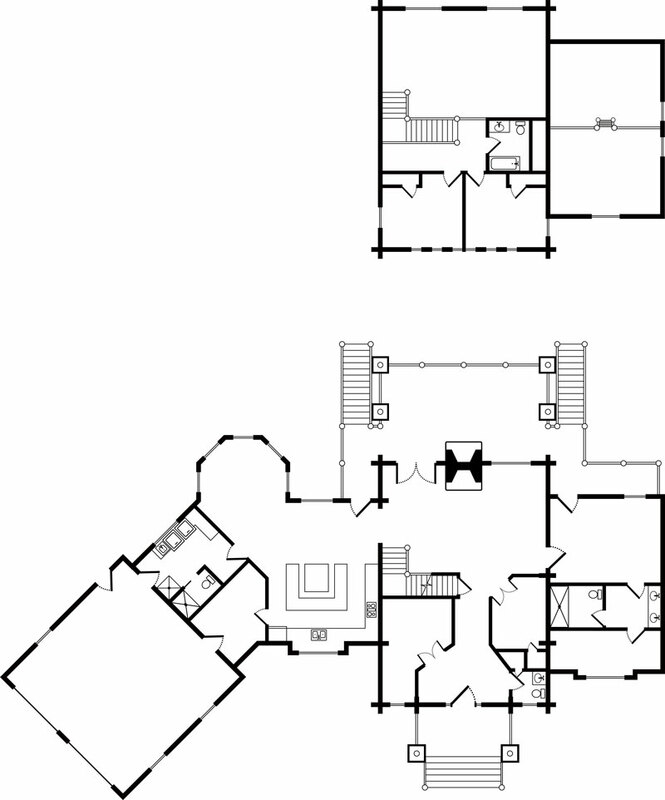 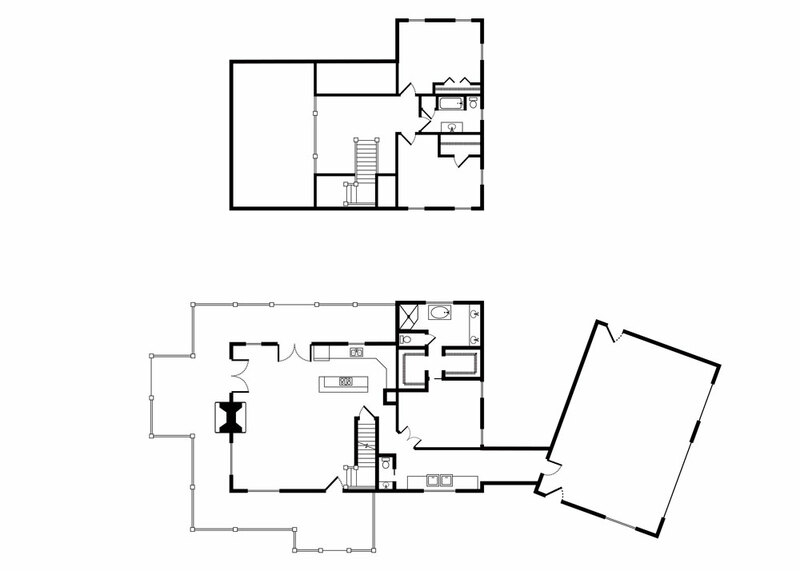 A two-story foyer sets the stage for the home, while the half-bath and laundry are discretely tucked in this area, adding convenience (as well as a respectful distance) from both the kitchen and the first-floor master. 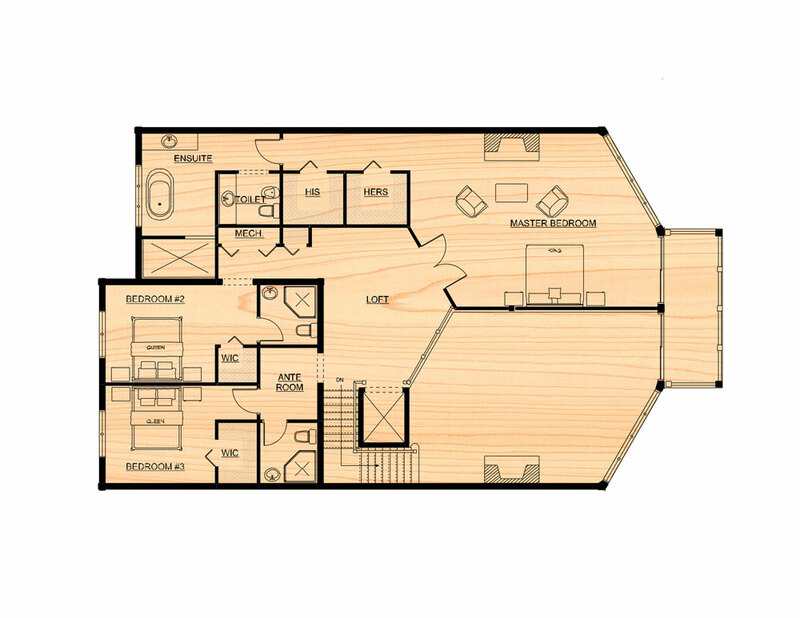 It’s a bi-level plan clearly designed for any stage of life. 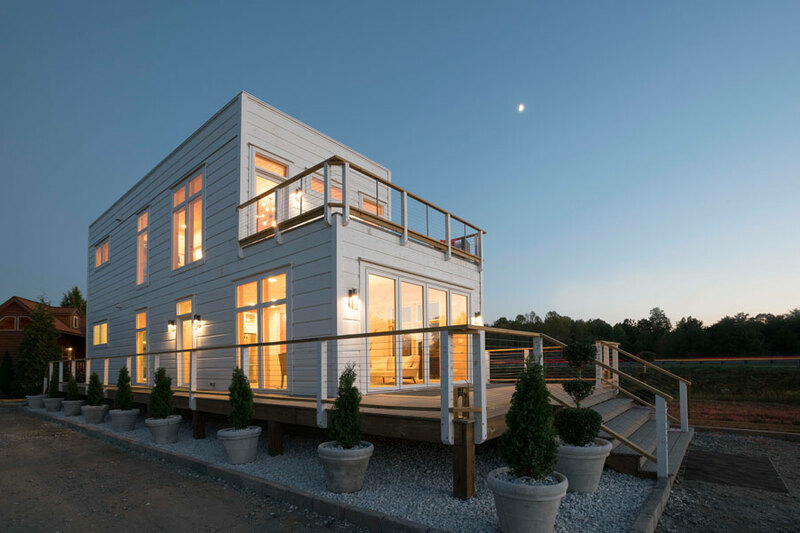 This house is a game changer! 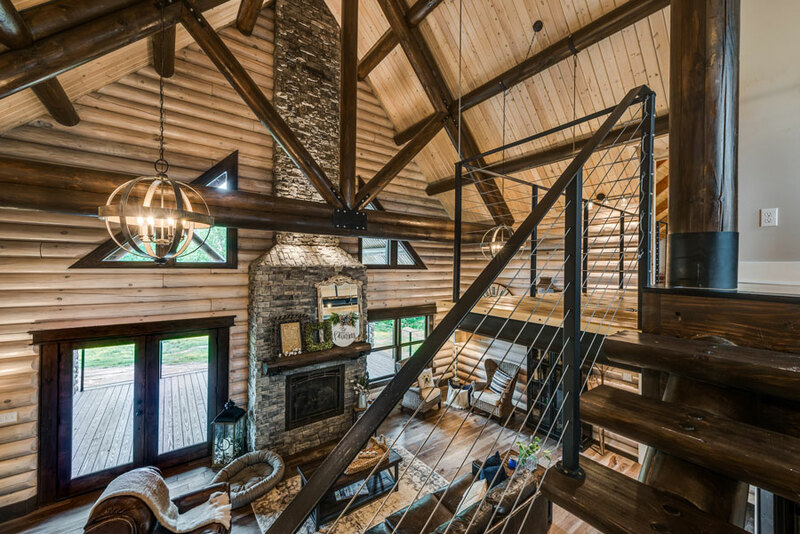 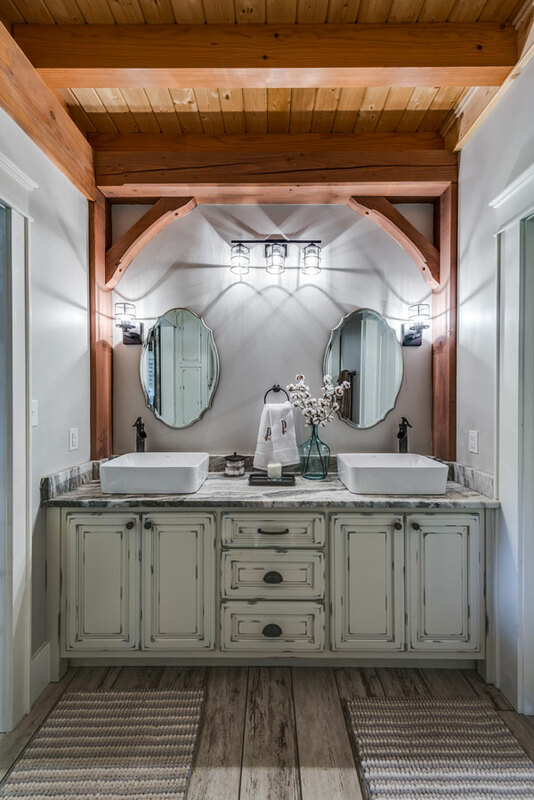 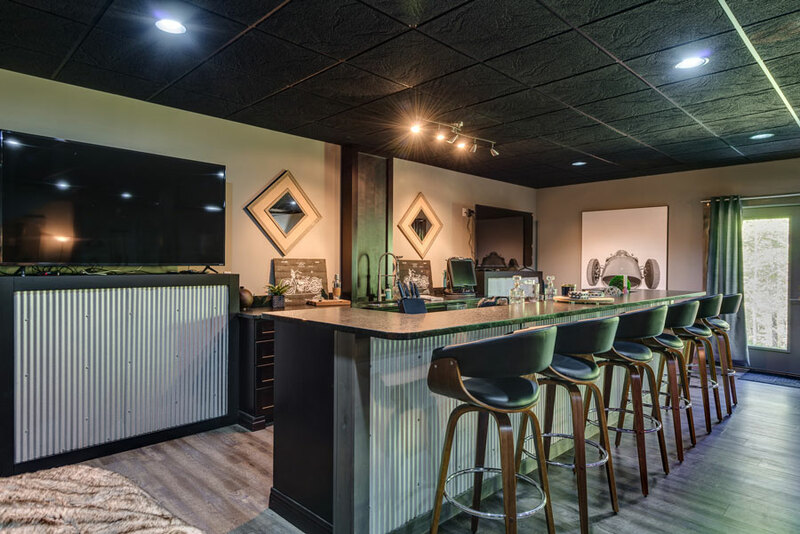 Truly a study in what can be done with vision, creativity and logs as your medium, the design/build team effortlessly combines wood with metal; blends earthy brown tones with bursts of soft blue and rich ebony; and melds traditional logs and timbers with innovative design. 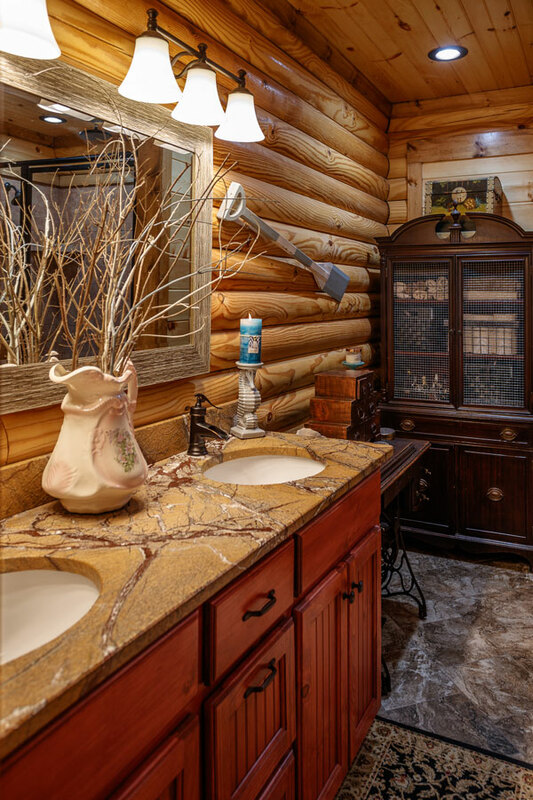 Even the utility room is impeccable. 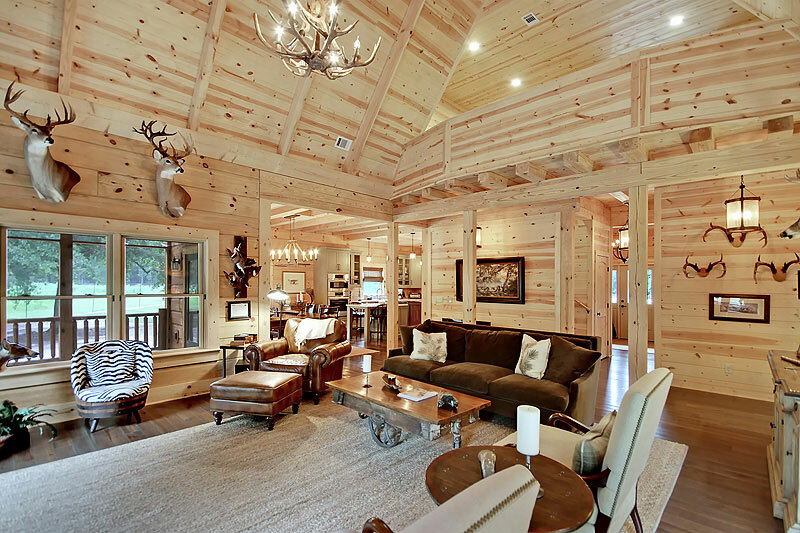 It’s a house like no other. 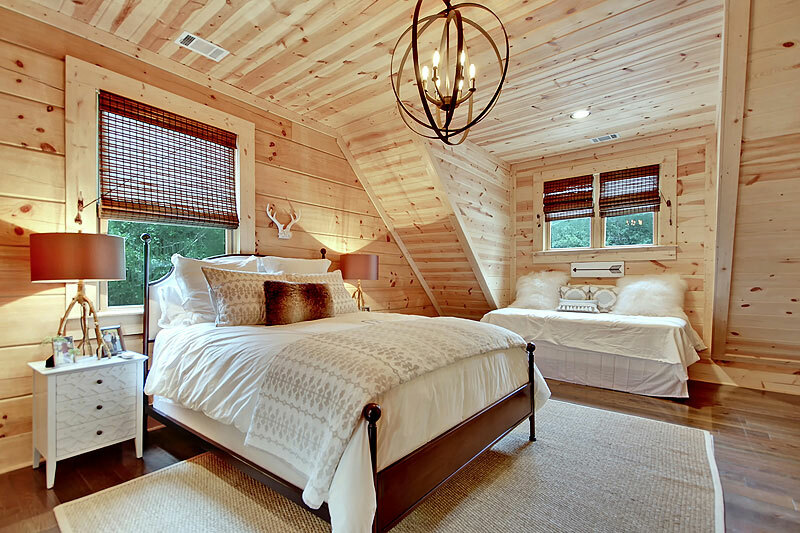 • “Good design is about solving problems, which is what they have done here. 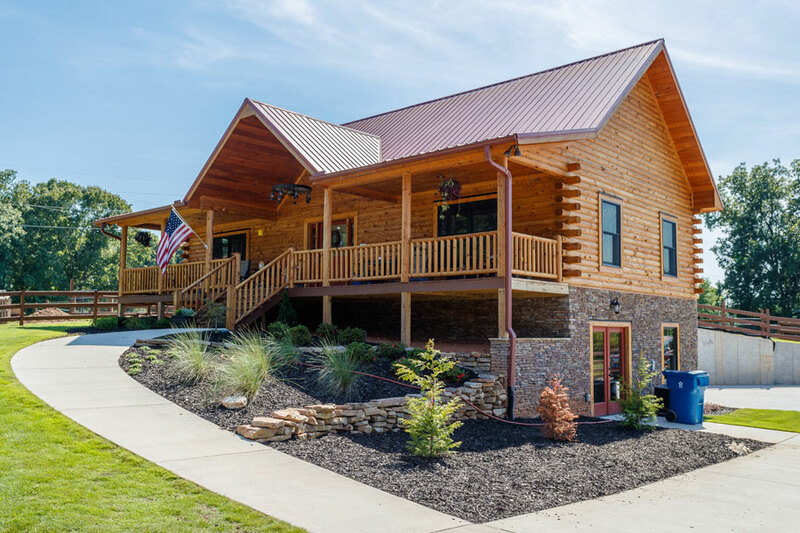 Like many homes built on a lake, this log home has two “front” facades. 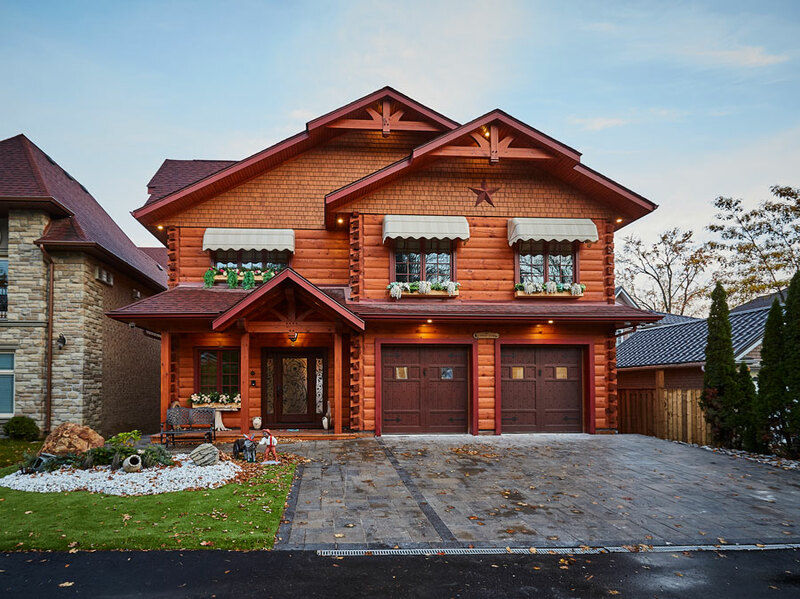 Approach it from the street, and the house appears modest — almost unassuming. 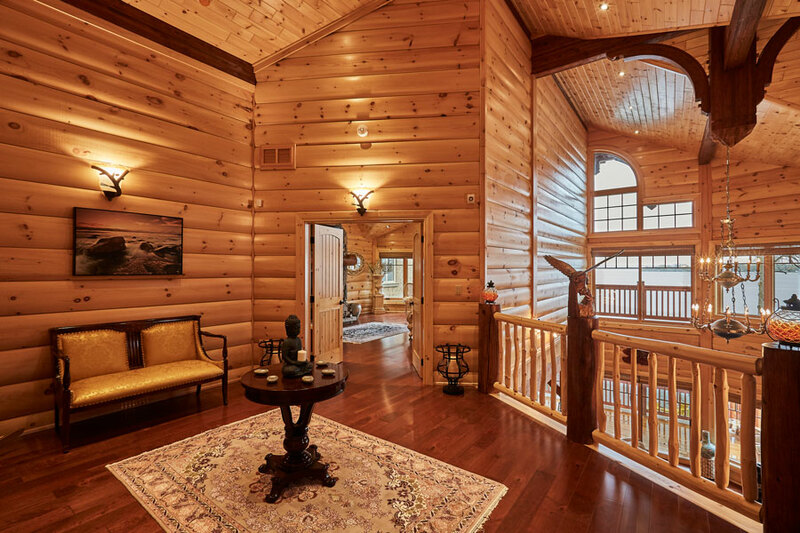 But, approach it from the water and you get the full majesty and expanse of this breathtaking custom log home. 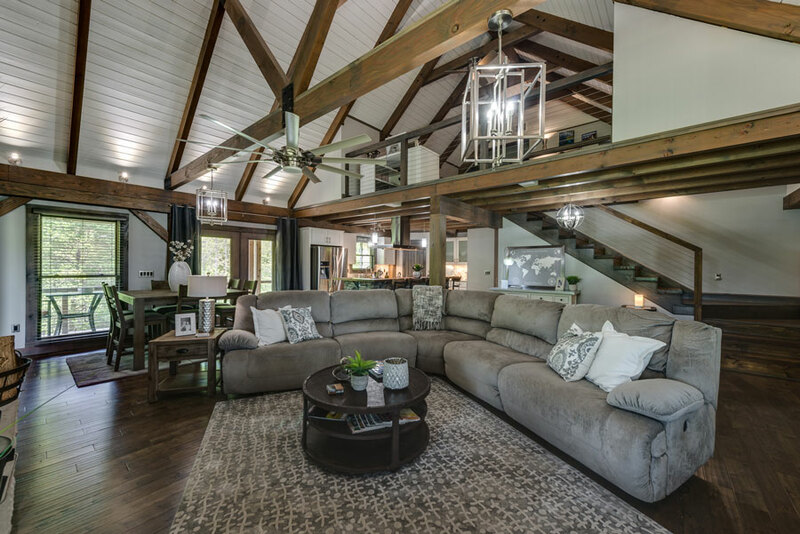 Inside, no detail is spared, allowing the flowing plan to provide an awe-inspiring space to entertain a large crowd or simply relax with the family. 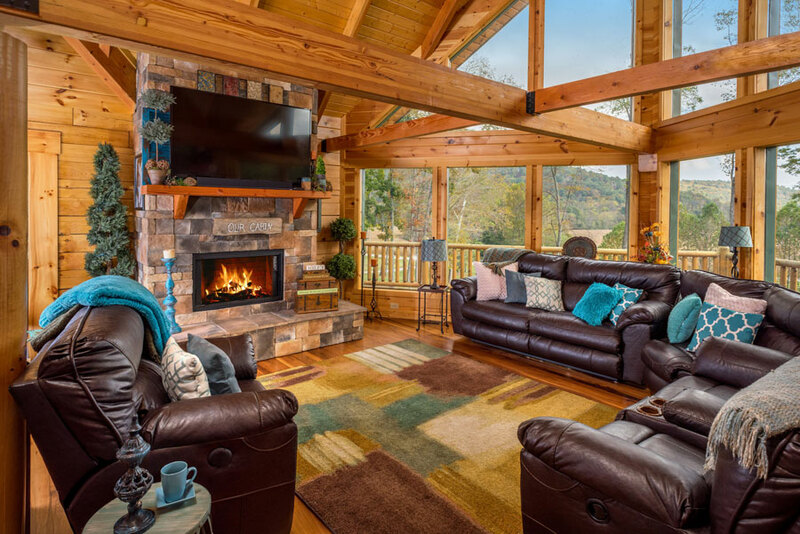 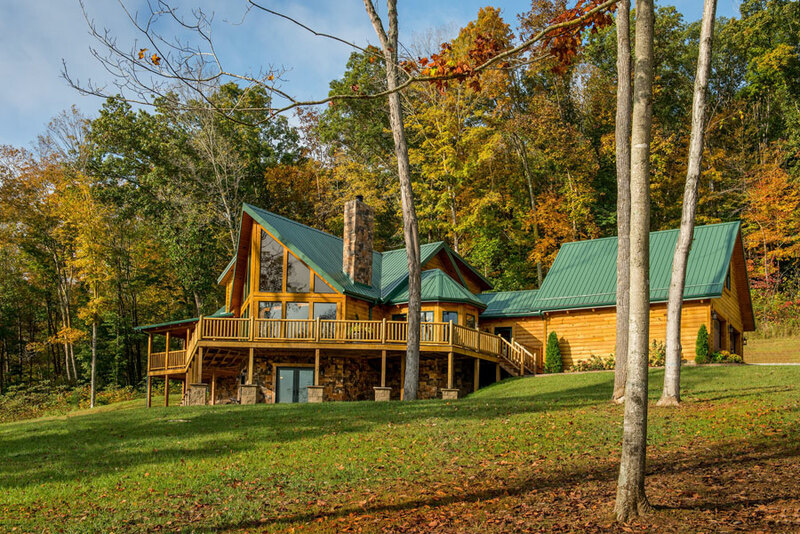 Featured in the September 2018 issue of Log Home Living, the owners wanted their custom log home to gently curve around their mountain locale, taking advantage of the natural beauty and sloping site. 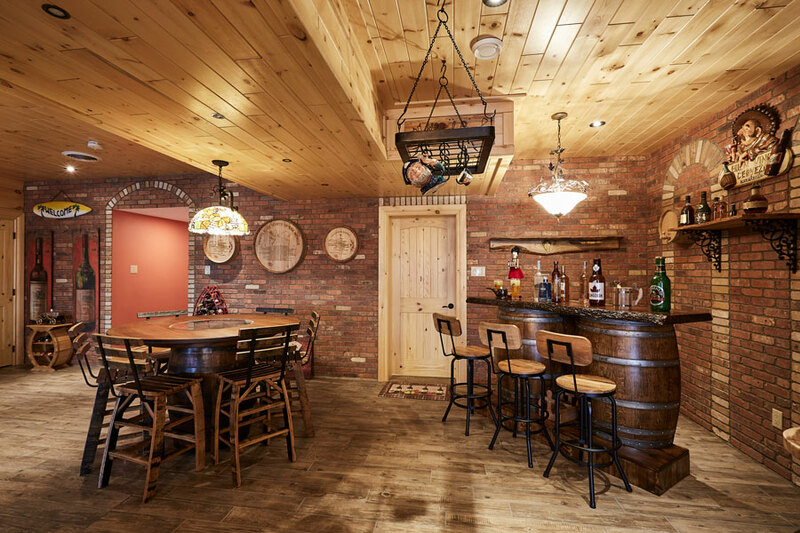 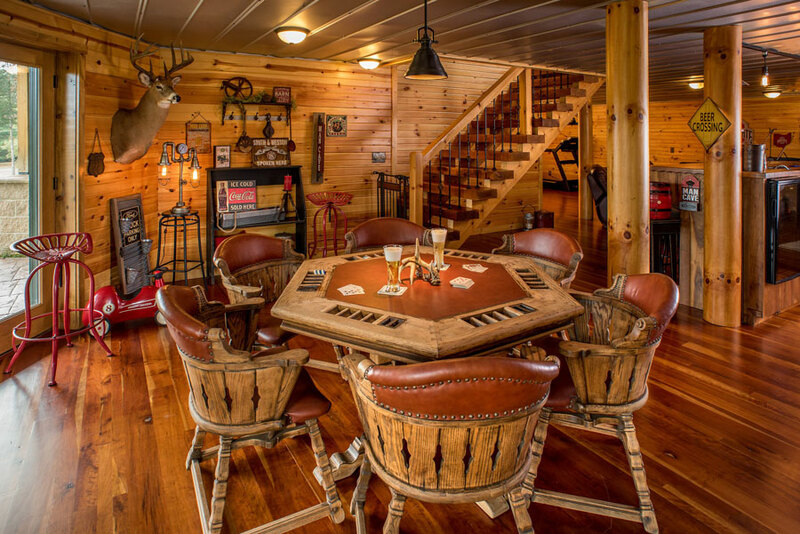 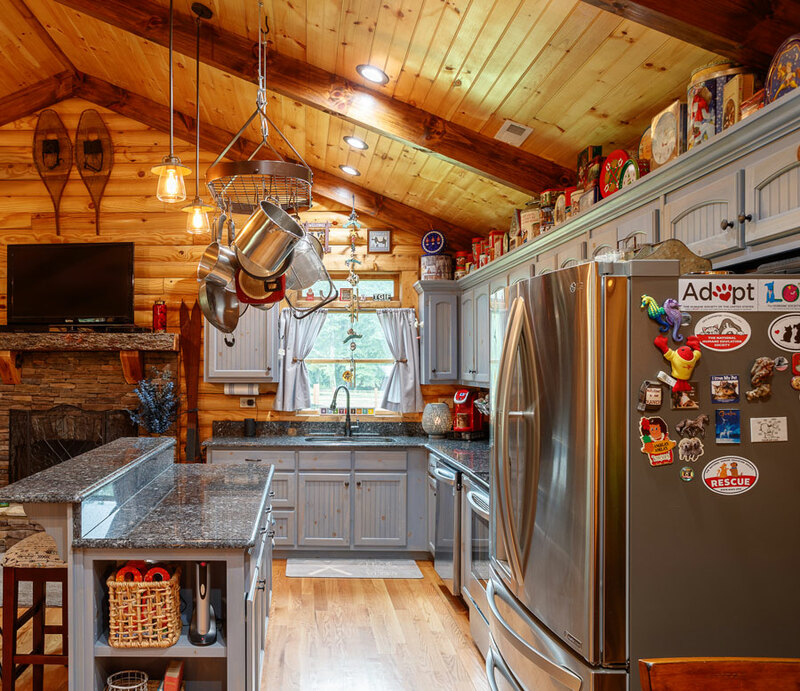 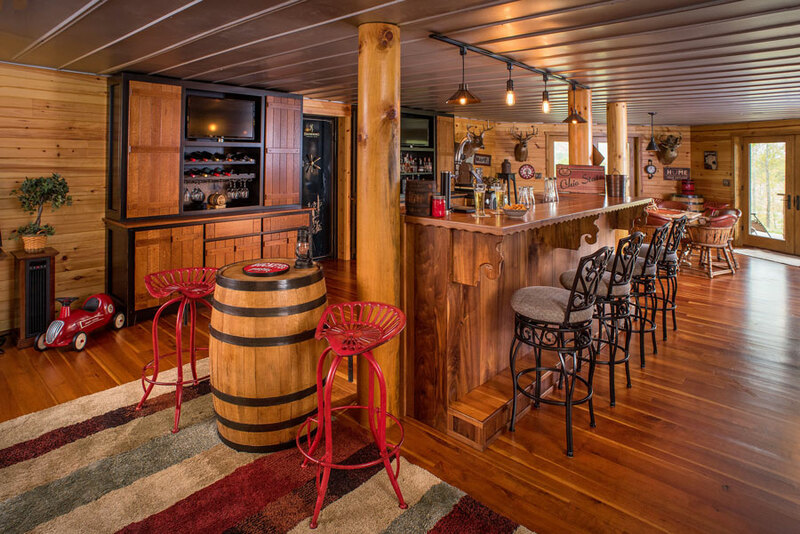 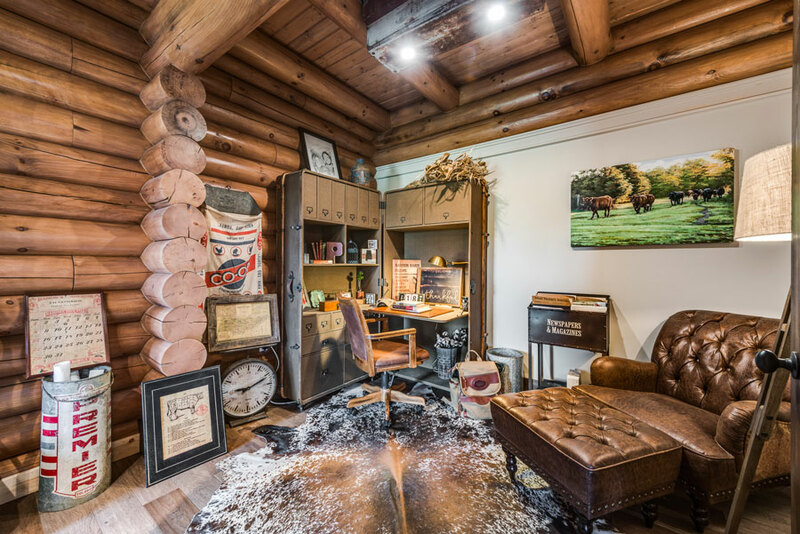 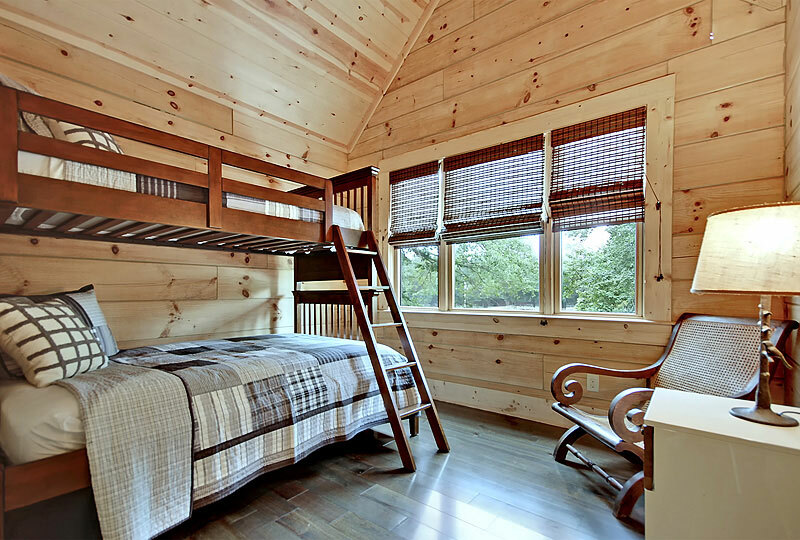 In addition to maximizing the spectacular views, the site provided room for a walkout that created space for an extensive man cave/saloon — a fun bonus feature for a rugged log home such as this. 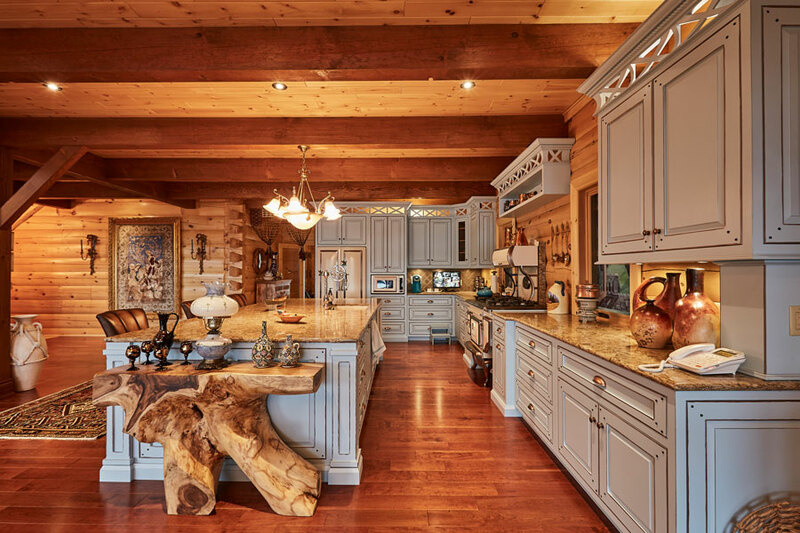 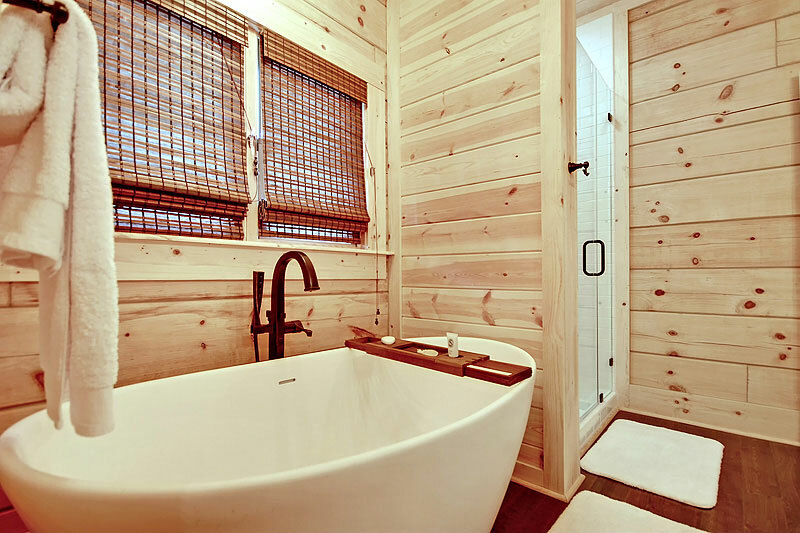 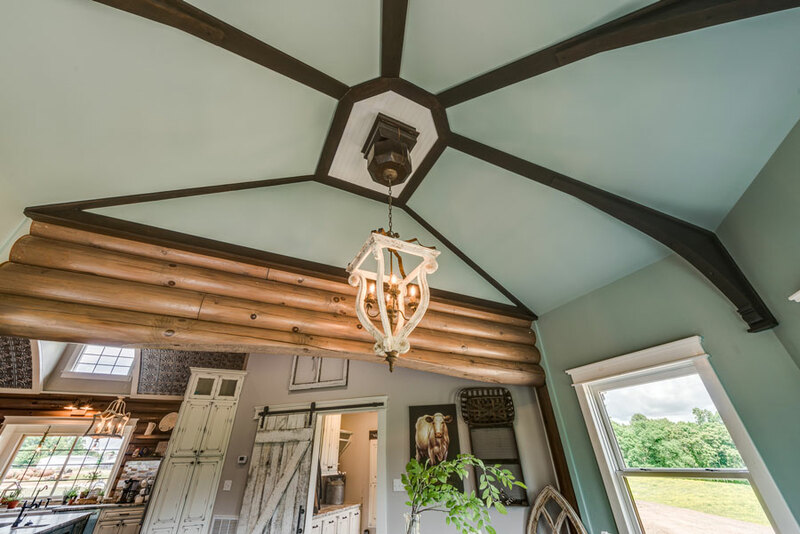 The oversized prow — a classic log home design element — roots this house in tradition, showers its interior with light and makes it a winner.